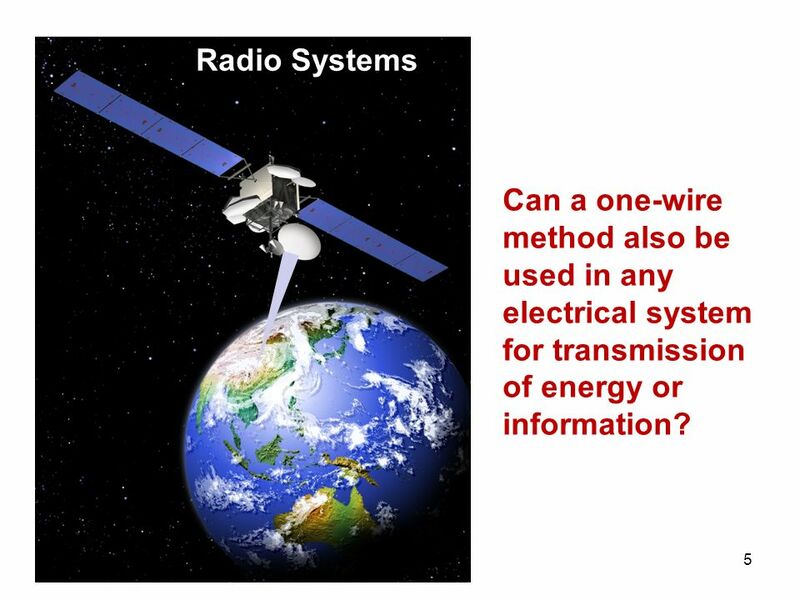 5 Radio Systems Can a one-wire method also be used in any electrical system for transmission of energy or information? 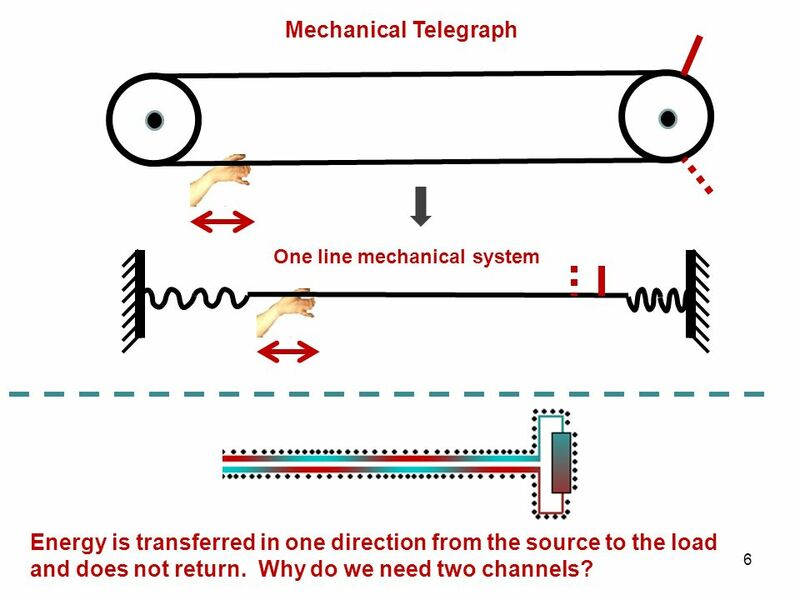 Mechanical Telegraph One line mechanical system Energy is transferred in one direction from the source to the load and does not return. Why do we need two channels? Part 1. 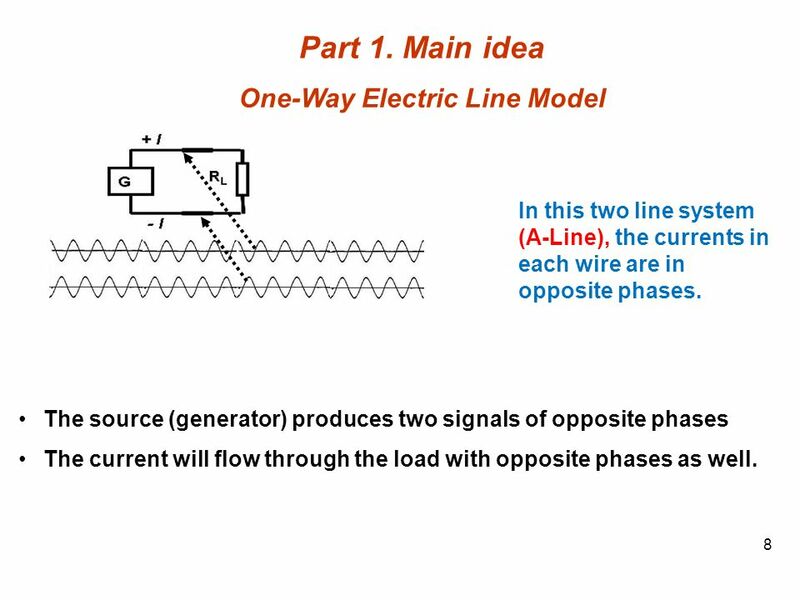 Main idea One-Way Electric Line Model In this two line system (A-Line), the currents in each wire are in opposite phases. 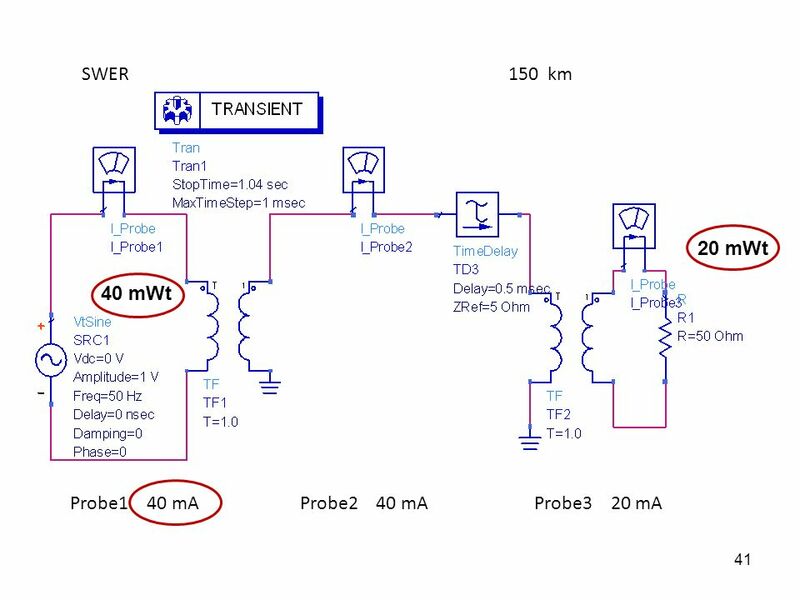 The source (generator) produces two signals of opposite phases The current will flow through the load with opposite phases as well. 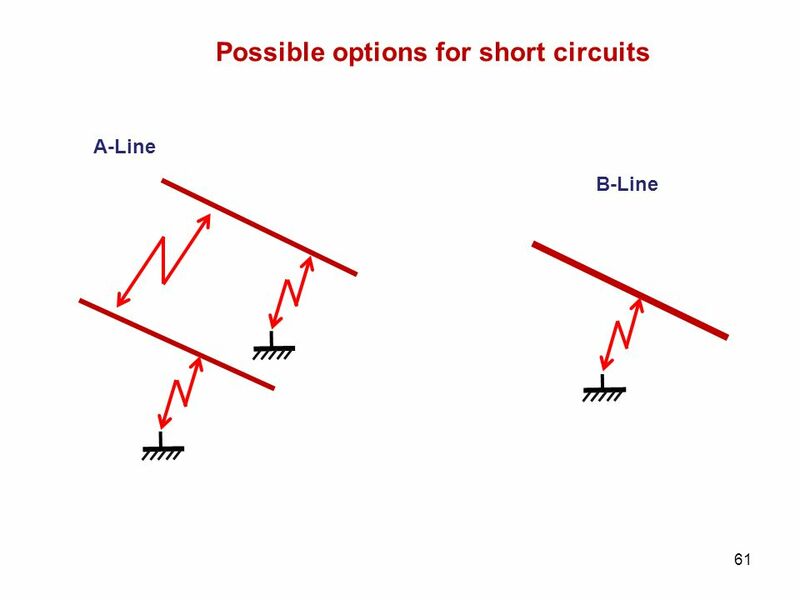 9 B-Line: Wires with the same (equipotential) currents can be combined. 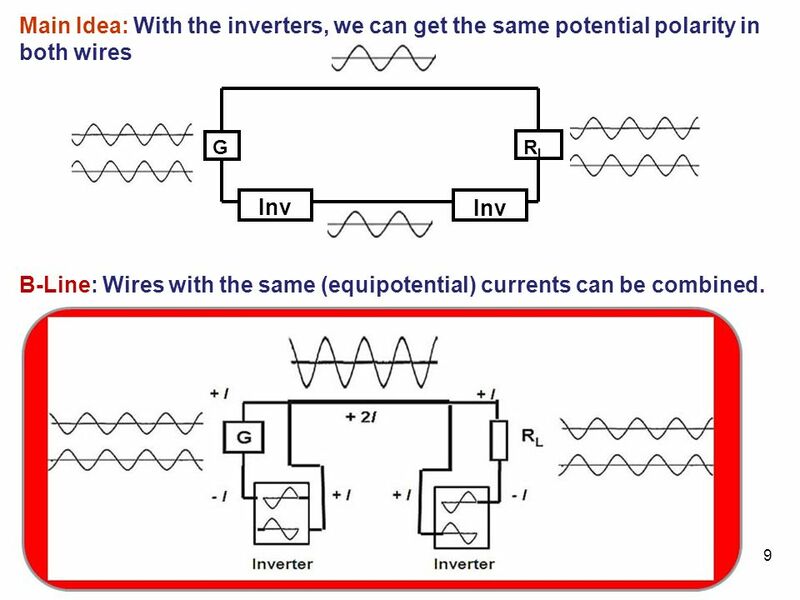 Main Idea: With the inverters, we can get the same potential polarity in both wires G RL Inv Inv B-Line: Wires with the same (equipotential) currents can be combined. 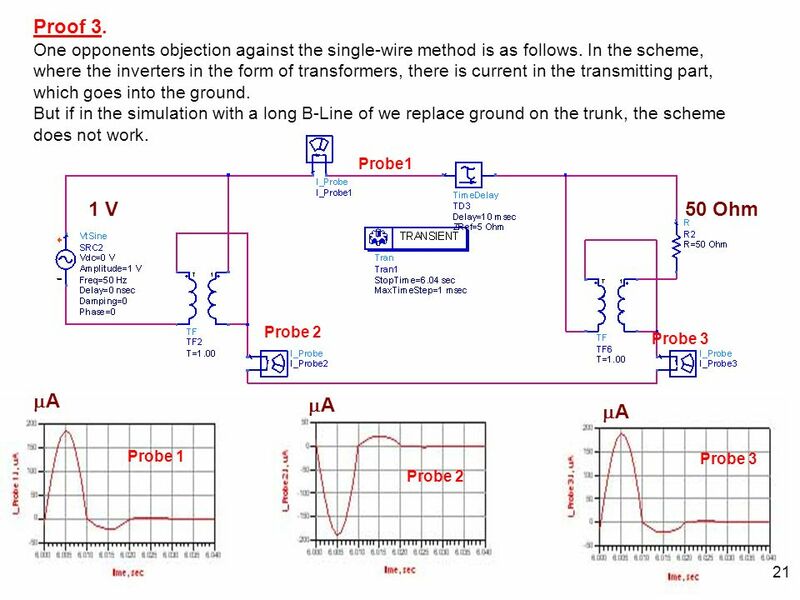 2.1 Basic simulations That's one of the simulations for the verification of Ohm's law in the proposed scheme. 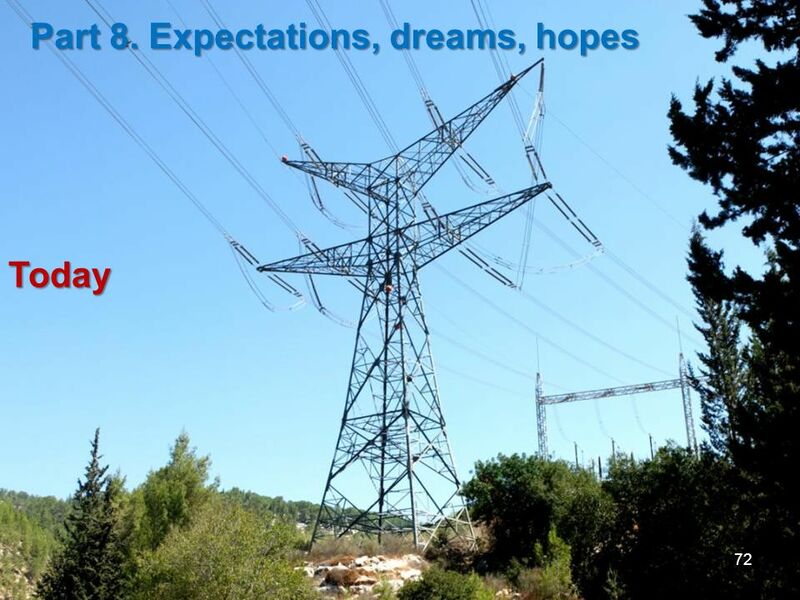 In this known A-Line circuit current amplitude everywhere should be 90 A. 1 kOhm is the lines resistance. 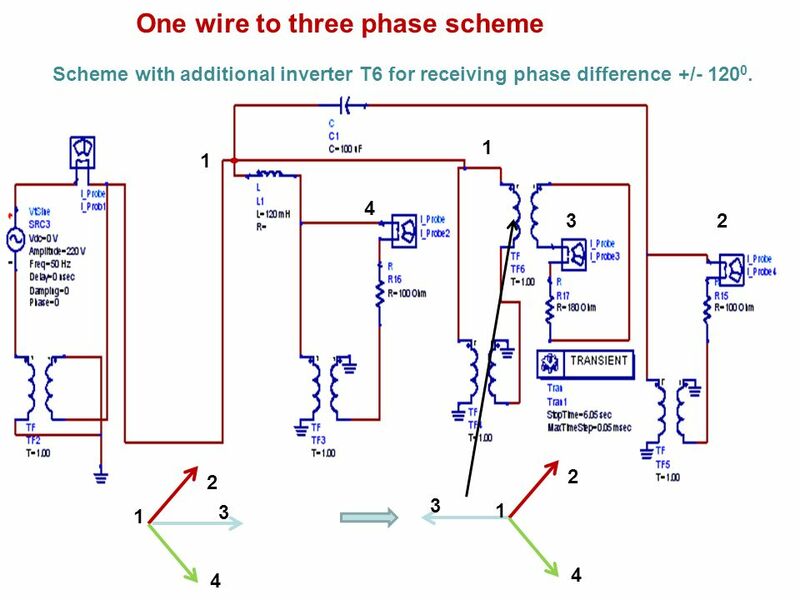 In the proposed B-Line scheme, we added inverters at the input and output, and combined the two lines. As a result a line resistance is 0.5kOhm. The simulation shows that the currents at the input and output have not changed. 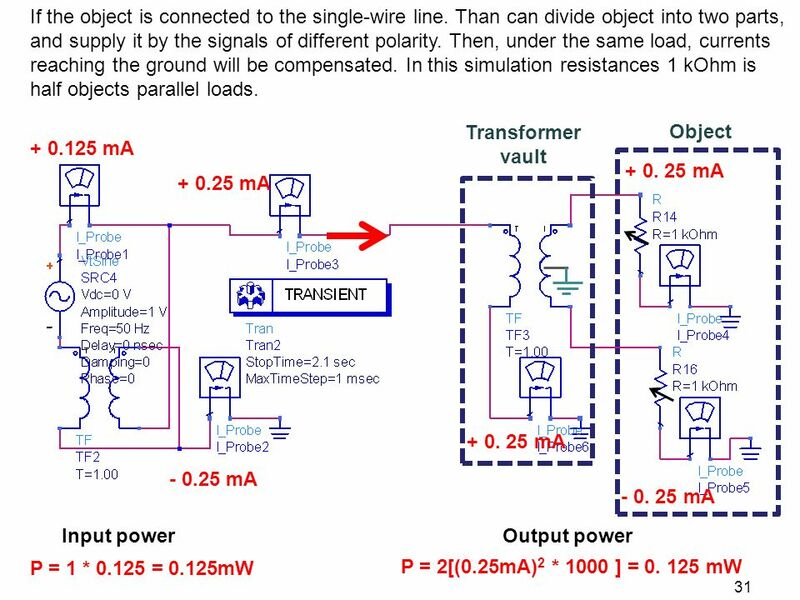 The polarity of the load current depends on where the inverter is at the top or bottom. 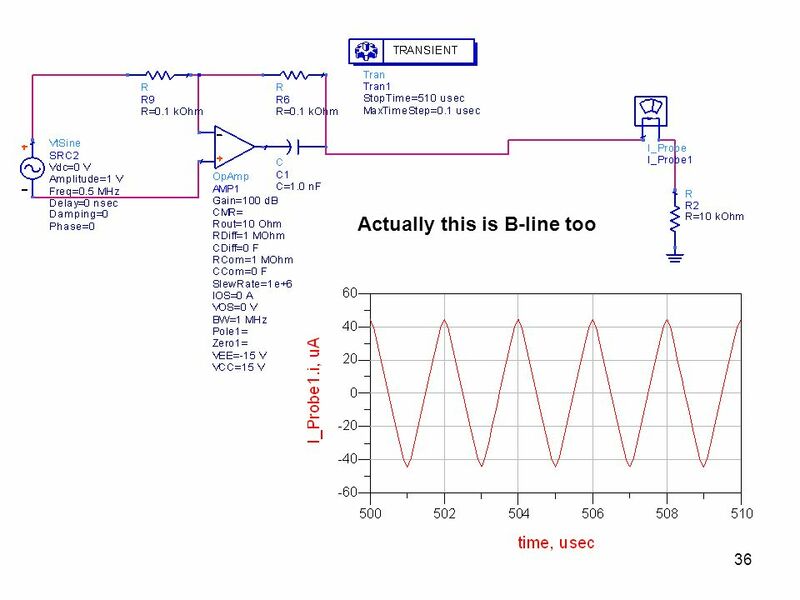 13 B-line simulation The delay line of half a period at a frequency of 50 Hz has a length of 3000 km. Therefore, this type of inverter can be used only in simulations. 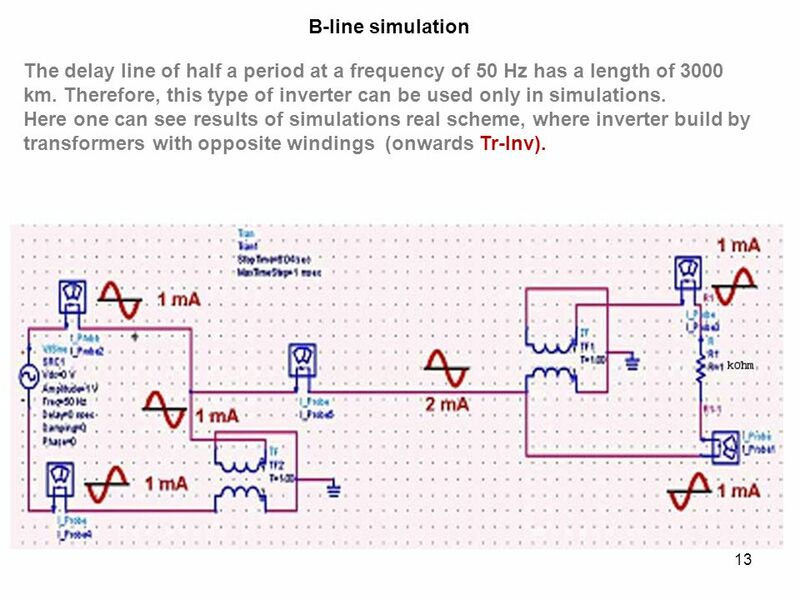 Here one can see results of simulations real scheme, where inverter build by transformers with opposite windings (onwards Tr-Inv). 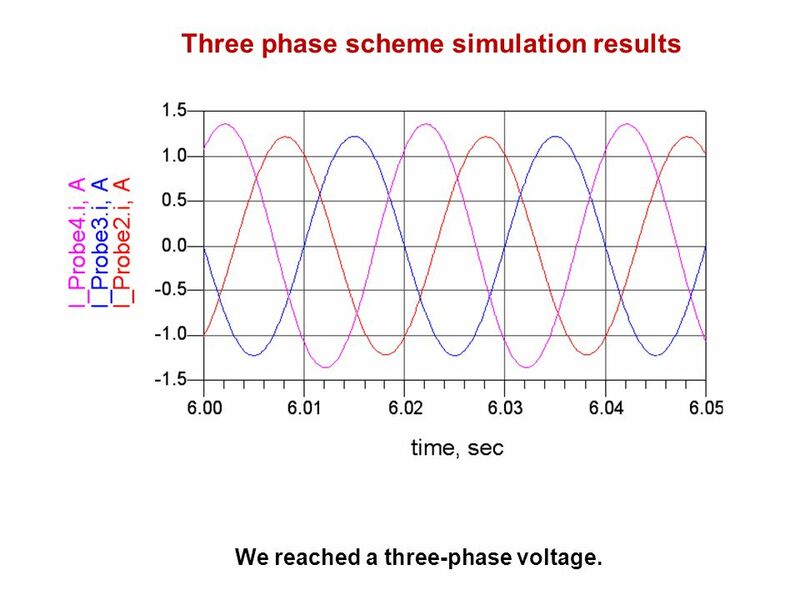 We reached a three-phase voltage. 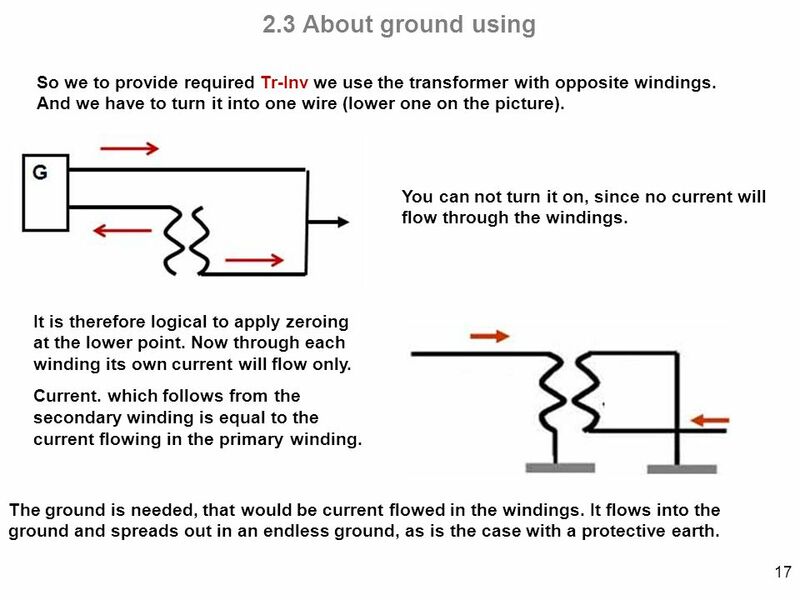 17 2.3 About ground using So we to provide required Tr-Inv we use the transformer with opposite windings. And we have to turn it into one wire (lower one on the picture). You can not turn it on, since no current will flow through the windings. It is therefore logical to apply zeroing at the lower point. Now through each winding its own current will flow only. Current. which follows from the secondary winding is equal to the current flowing in the primary winding. The ground is needed, that would be current flowed in the windings. It flows into the ground and spreads out in an endless ground, as is the case with a protective earth. 18 Current spreads in the earth in all directions and therefore countless ground resistance is zero. 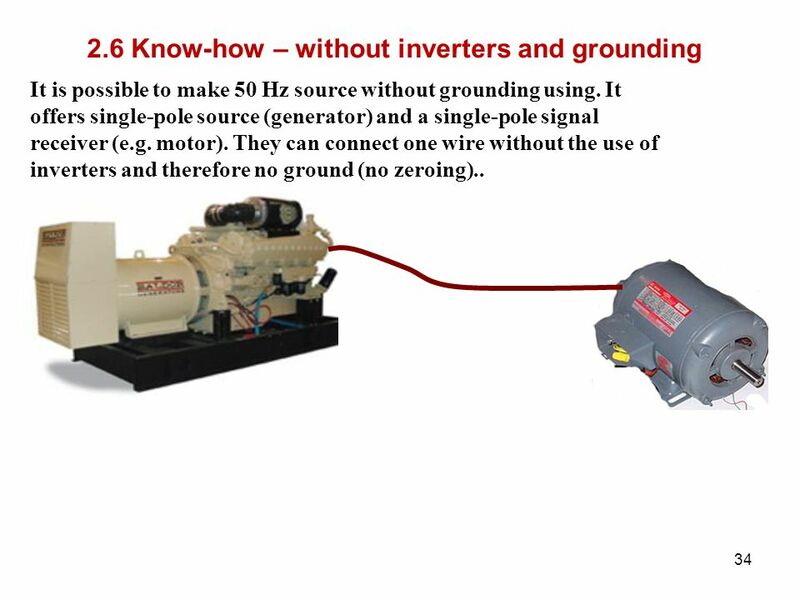 If we carry the current in a wire connected to ground, the wire current flows, but in the ground it will not be (if grounding ideal) because the potential at the connection point all the time is zero. 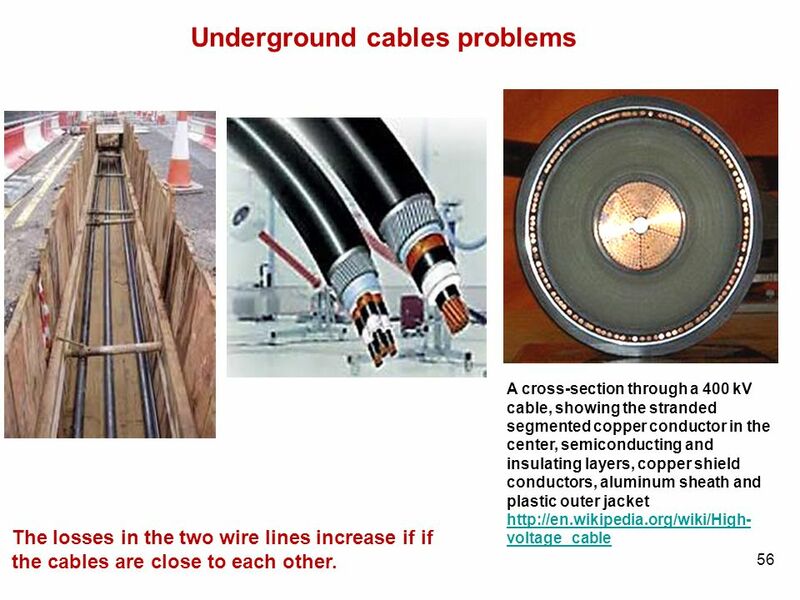 In the case of protective grounding, if an accident happens, the current anywhere in the other place does not get. 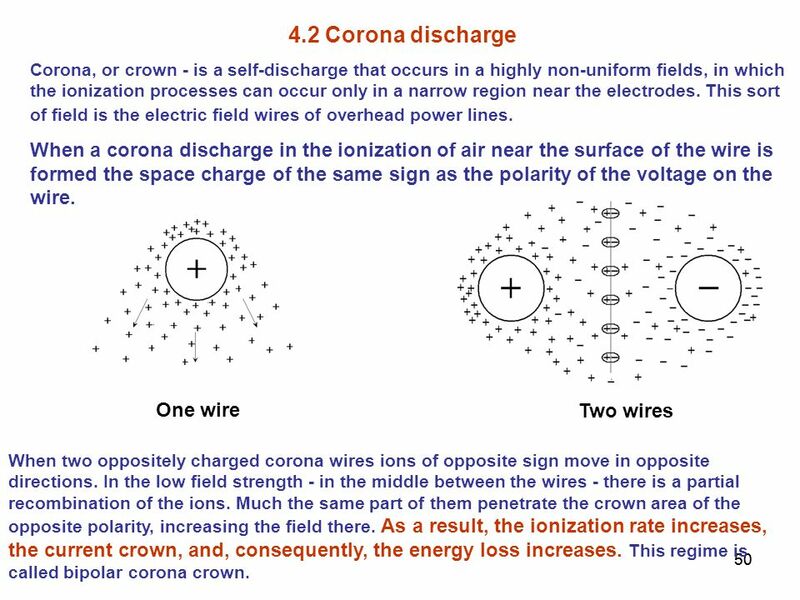 Wikipedia: In electronic circuit theory, a "ground" is usually idealized as an infinite source or sink for charge, which can absorb an unlimited amount of current without changing its potential. 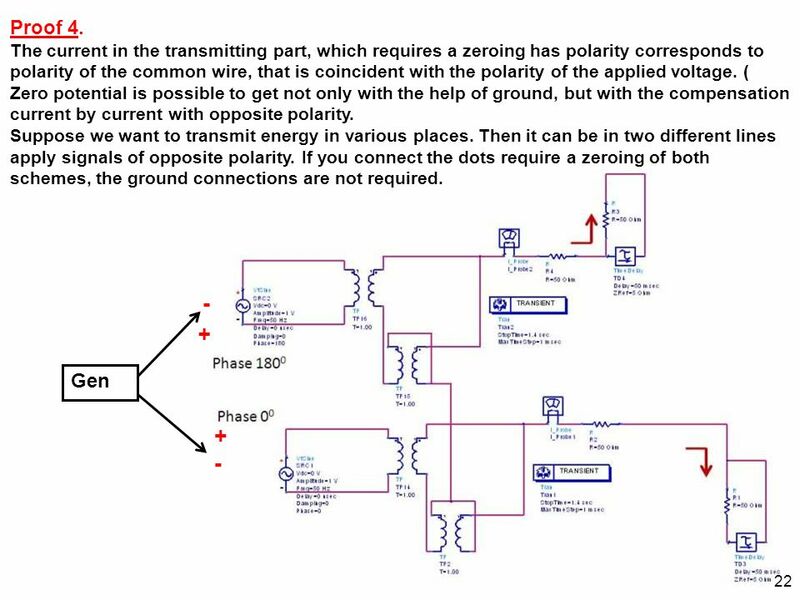 Where a real ground connection has a significant resistance, the approximation of zero potential is no longer valid. 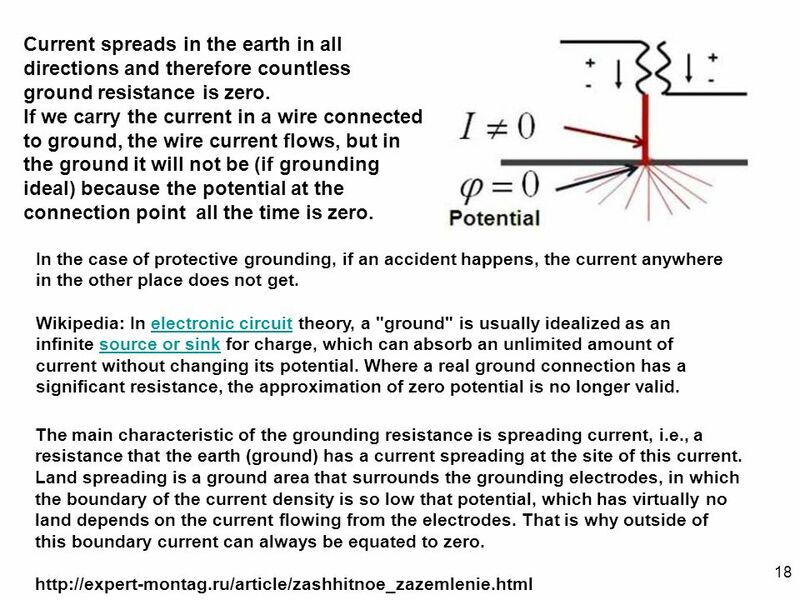 The main characteristic of the grounding resistance is spreading current, i.e., a resistance that the earth (ground) has a current spreading at the site of this current. Land spreading is a ground area that surrounds the grounding electrodes, in which the boundary of the current density is so low that potential, which has virtually no land depends on the current flowing from the electrodes. 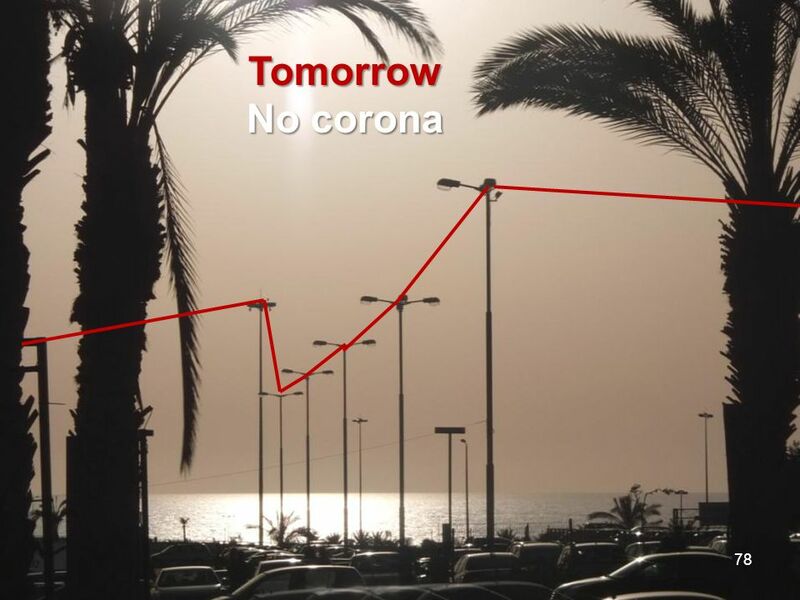 That is why outside of this boundary current can always be equated to zero. 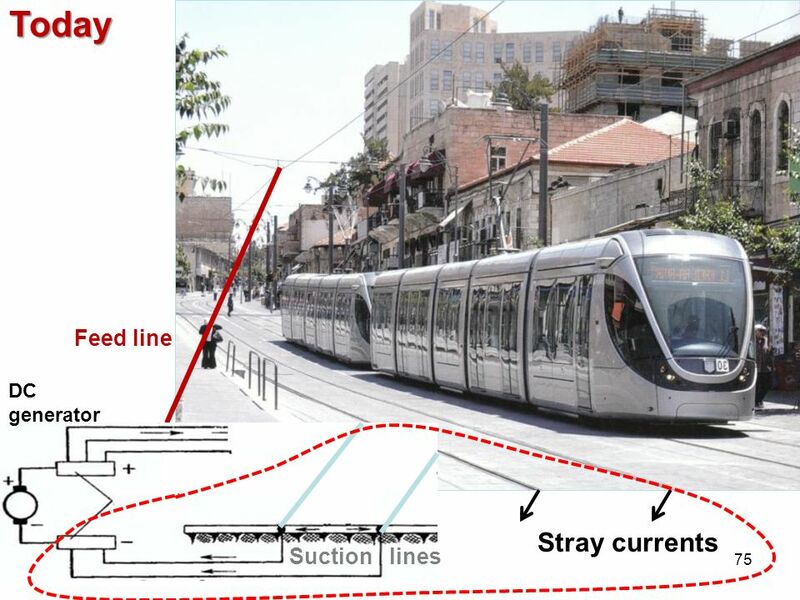 19 In the proposed B-Line scheme, the current of the A-Line second line does not go into the ground. It flows into the first line after inverting the phase. 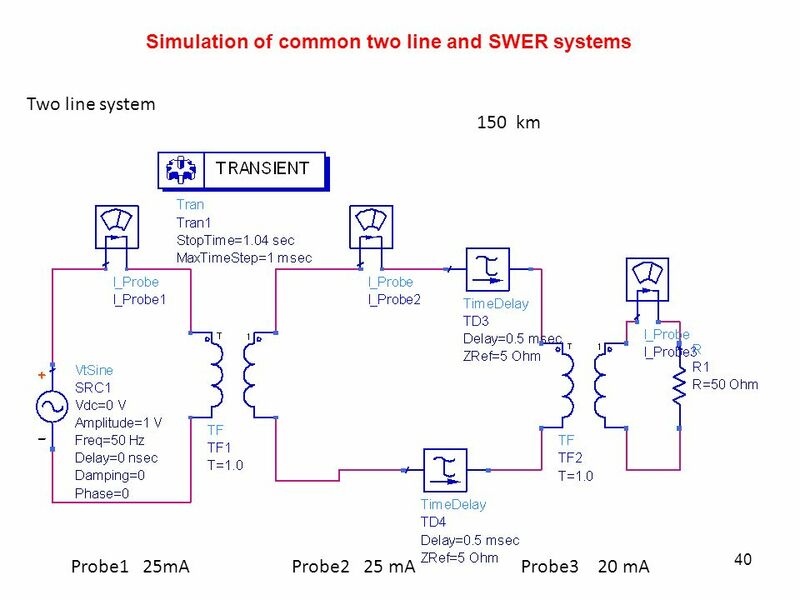 Taking into account importance of this issue, we give here four proofs of the fact that ground does not participate in signal transduction in the proposed system. Although one proof (any) would be sufficient Proof 1. Return to the B-Line simulation. 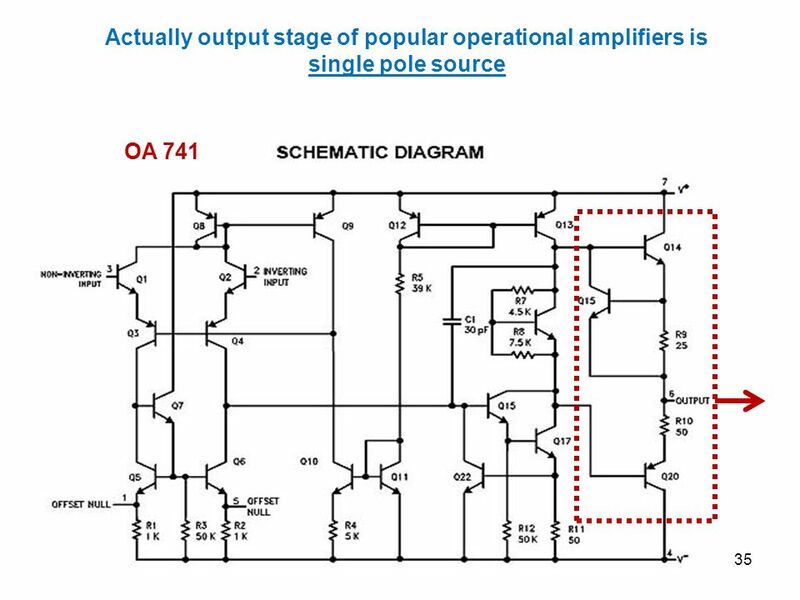 In accordance with Ohm's law, in a case of the source with a voltage of 1 volt and 1kOhm load, the current is equal to 1mA. This is exactly the obtained in the simulation. If some other current flowed into earth, the current in the lines would be lower. The result of simulation shows that there is no other current except the current in lines. 20 Proof 2. 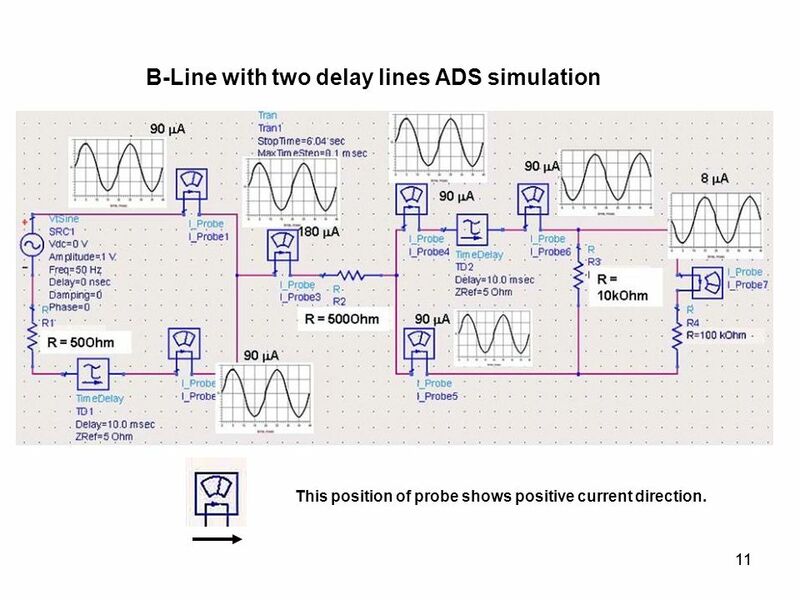 If one part of the scheme (transmitting or receiving) do with the delay line, the circuit works properly and gives exactly the same load current. Obviously, in this case there is no connection to the ground. 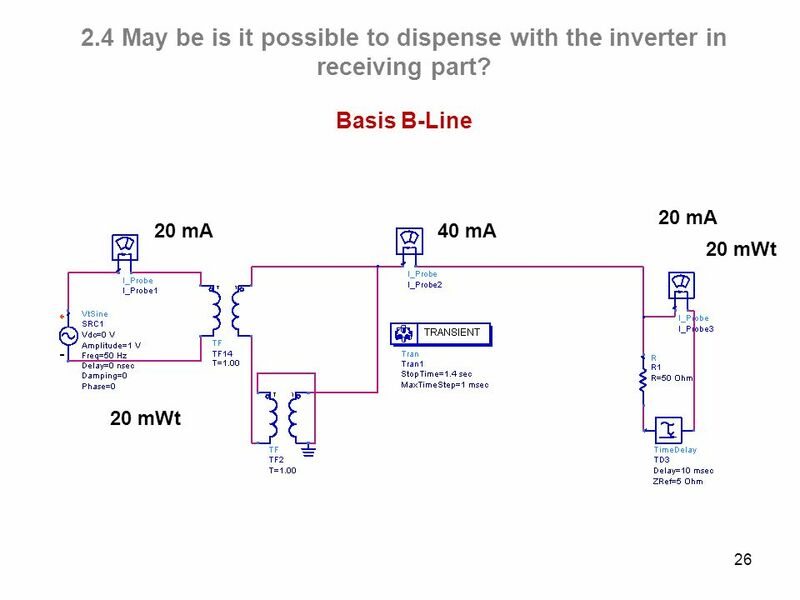 26 2.4 May be is it possible to dispense with the inverter in receiving part? 5 mA 10 mA 1 V 5 mWt 5 mWt Load power decreased by 4 times. 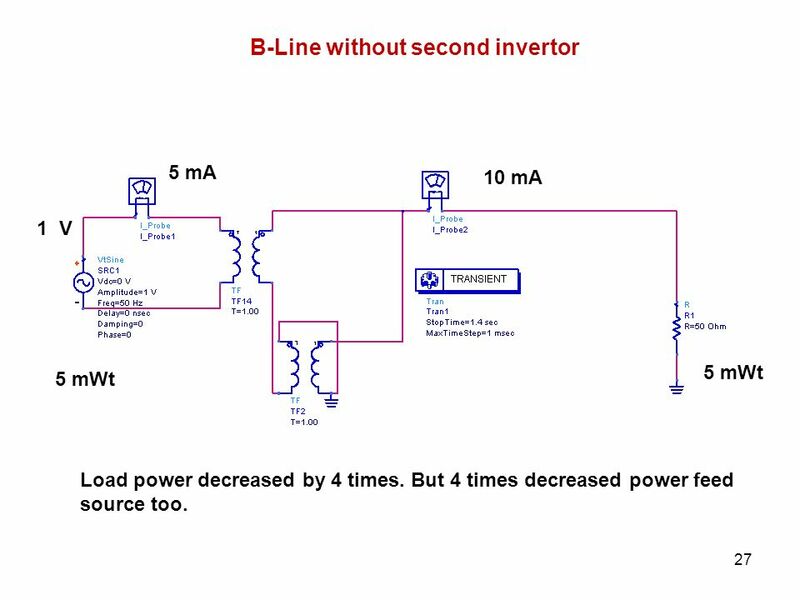 But 4 times decreased power feed source too. 28 Explanation of the reducing process of the received and given powers. 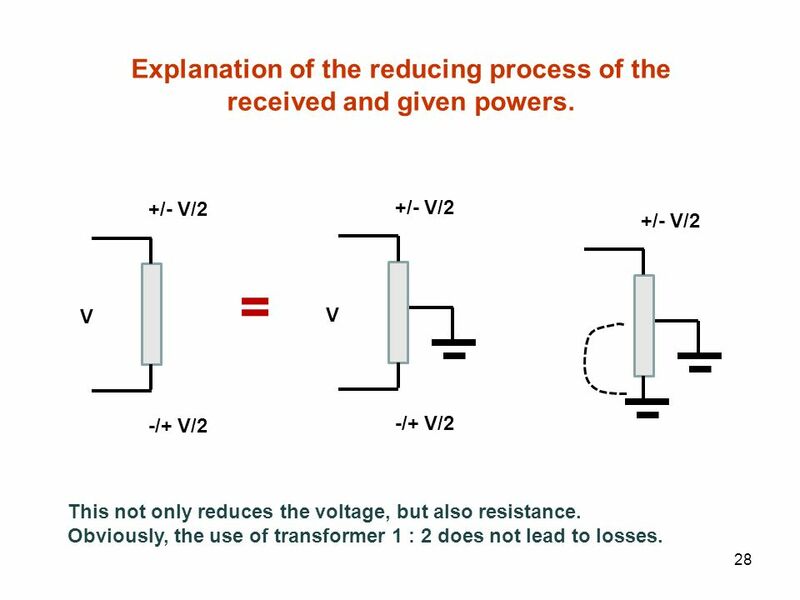 = V V -/+ V/2 -/+ V/2 This not only reduces the voltage, but also resistance. 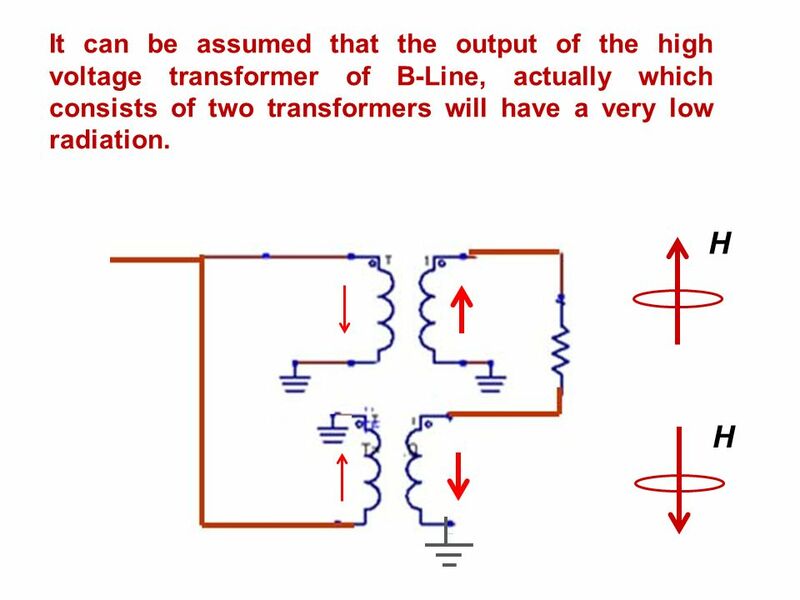 Obviously, the use of transformer 1 : 2 does not lead to losses. 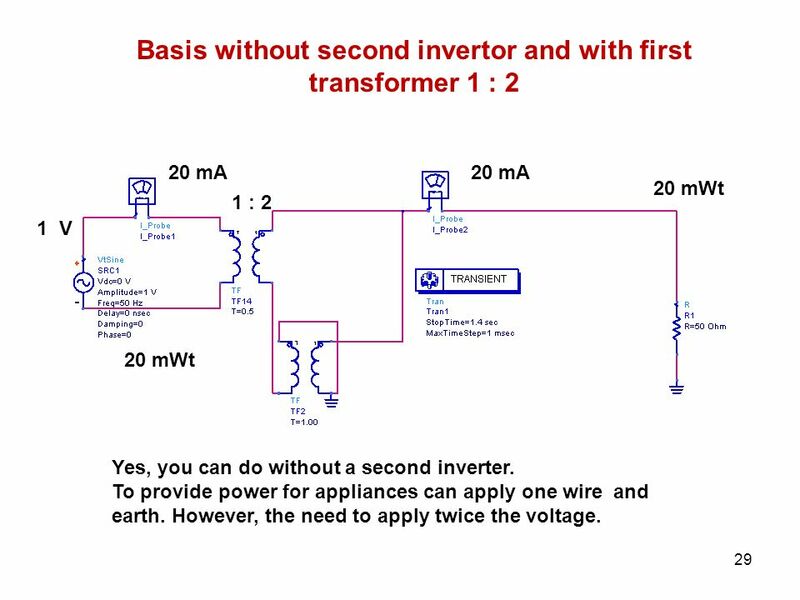 20 mA 20 mA 20 mWt 1 : 2 1 V 20 mWt Yes, you can do without a second inverter. 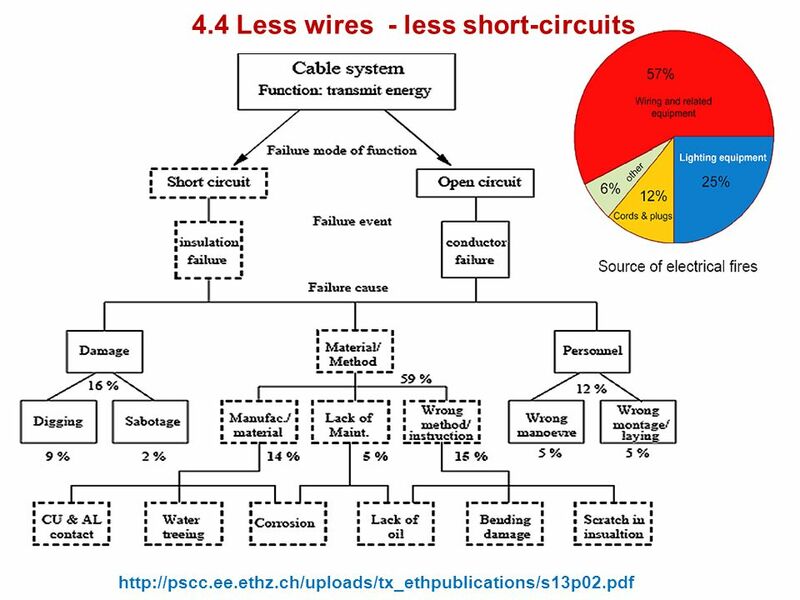 To provide power for appliances can apply one wire and earth. However, the need to apply twice the voltage. 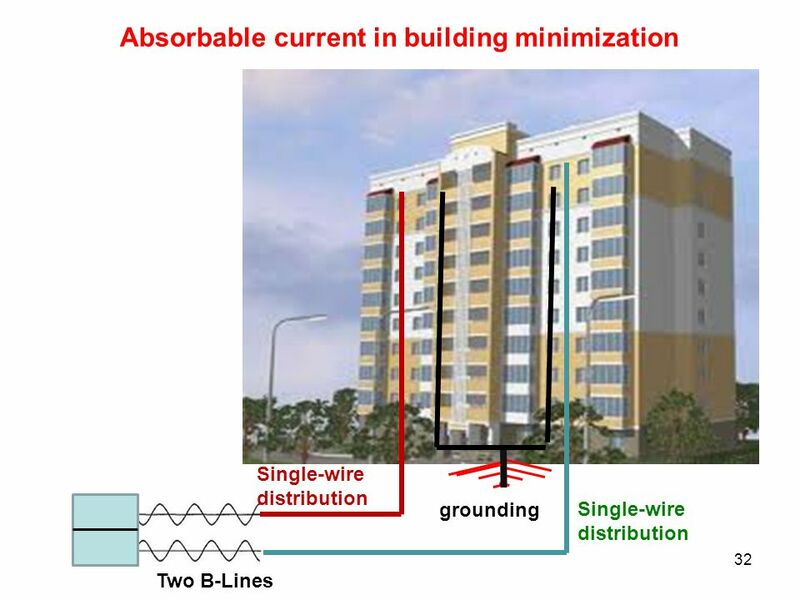 This simulation shows that even in case of a large number of consumers, there is no danger of a strong input current into the ground when house flats are equipped with a single-wire system. 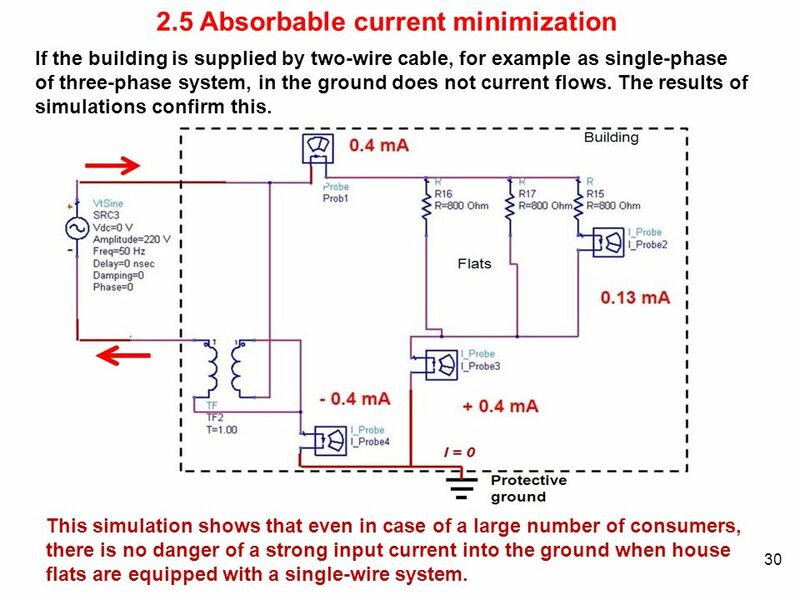 2.5 Absorbable current minimization If the building is supplied by two-wire cable, for example as single-phase of three-phase system, in the ground does not current flows. The results of simulations confirm this. 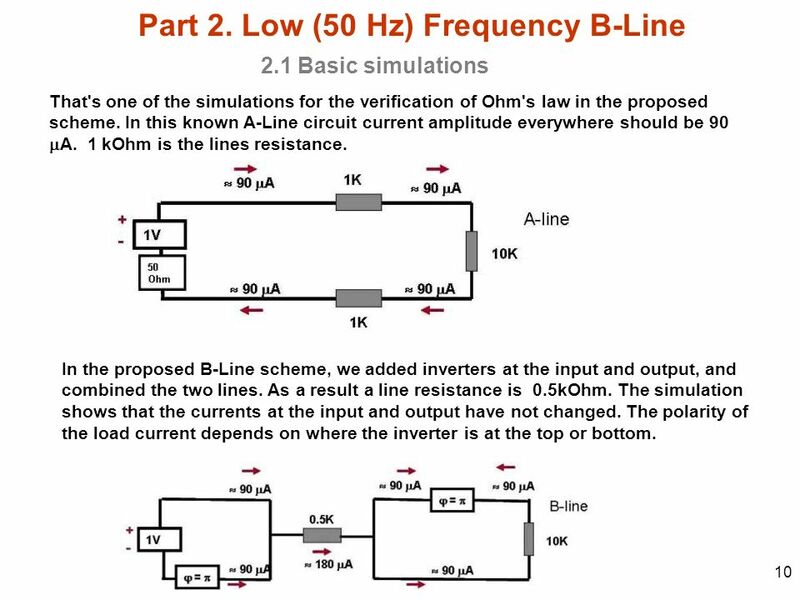 It is possible to make 50 Hz source without grounding using. It offers single-pole source (generator) and a single-pole signal receiver (e.g. motor). 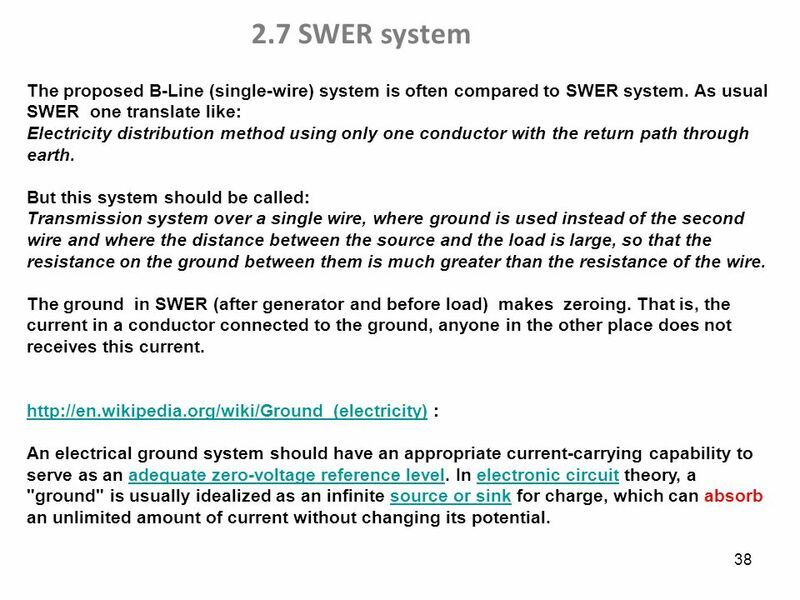 They can connect one wire without the use of inverters and therefore no ground (no zeroing)..
38 2.7 SWER system The proposed B-Line (single-wire) system is often compared to SWER system. 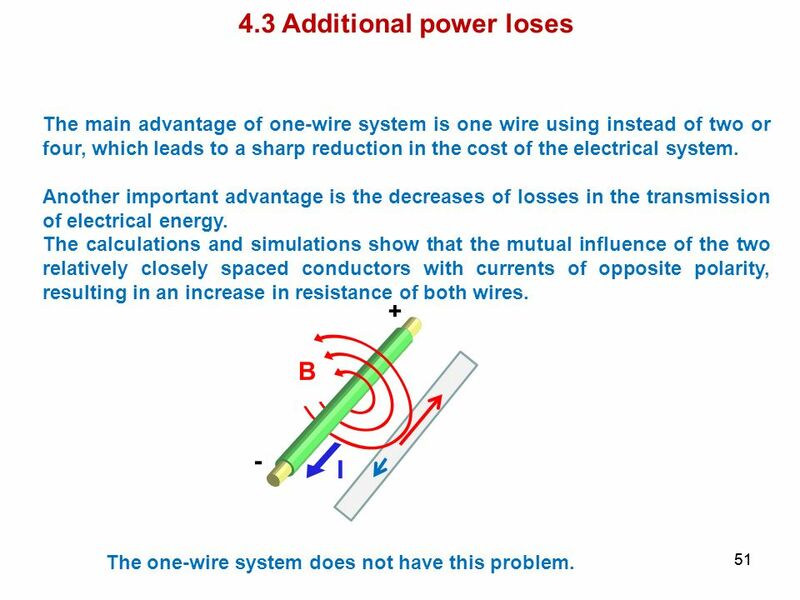 As usual SWER one translate like: Electricity distribution method using only one conductor with the return path through earth. 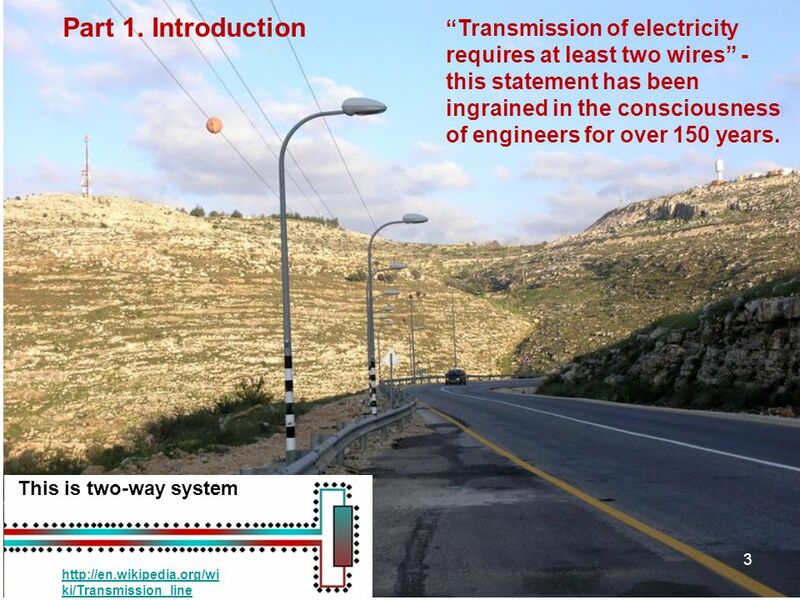 But this system should be called: Transmission system over a single wire, where ground is used instead of the second wire and where the distance between the source and the load is large, so that the resistance on the ground between them is much greater than the resistance of the wire. The ground in SWER (after generator and before load) makes zeroing. 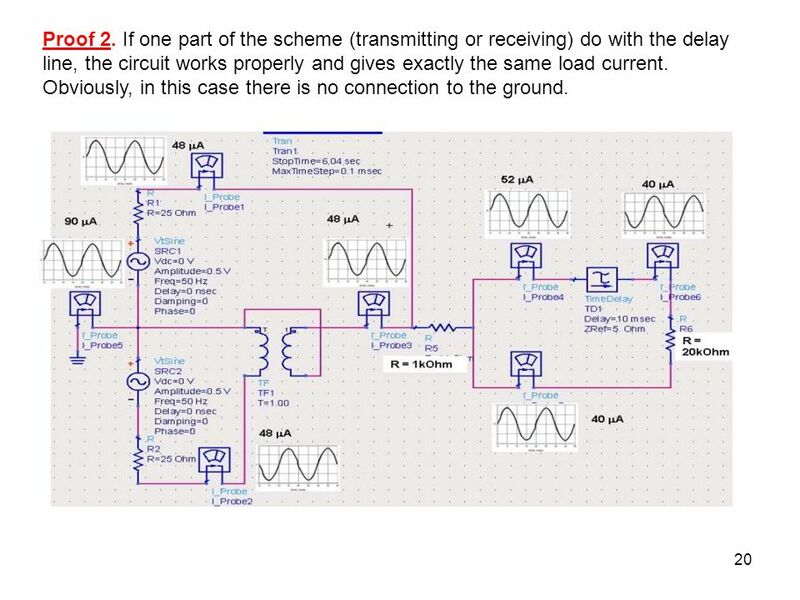 That is, the current in a conductor connected to the ground, anyone in the other place does not receives this current. 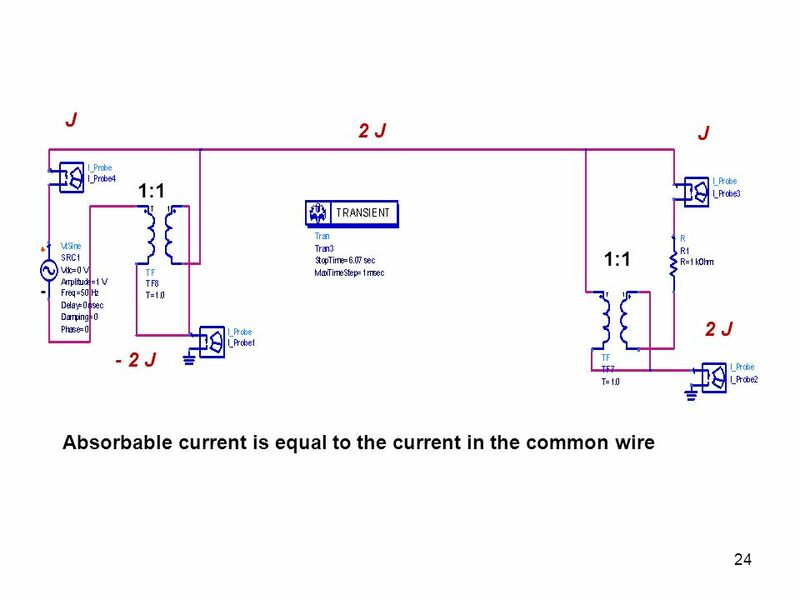 : An electrical ground system should have an appropriate current-carrying capability to serve as an adequate zero-voltage reference level. 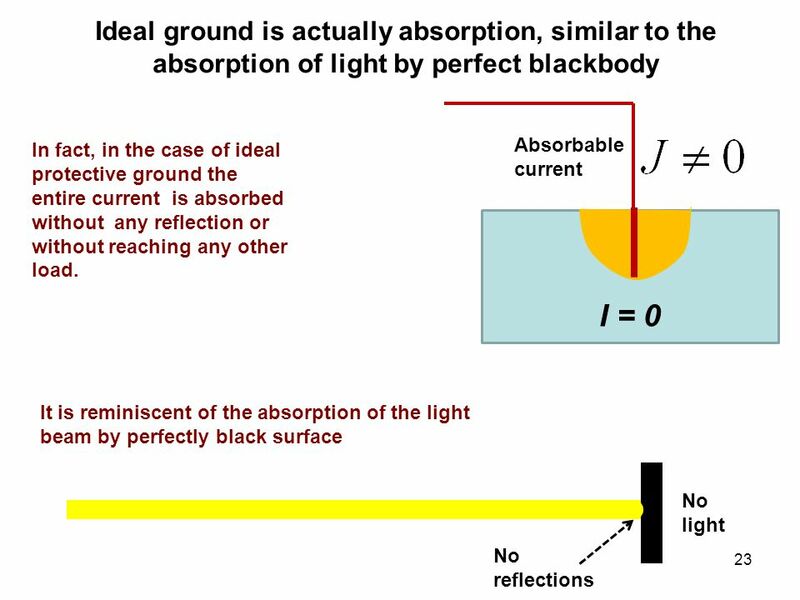 In electronic circuit theory, a "ground" is usually idealized as an infinite source or sink for charge, which can absorb an unlimited amount of current without changing its potential. There is much literature on the issues of SWER ( ). Everywhere it is written about the obvious advantages. Typically, such a scheme is given. 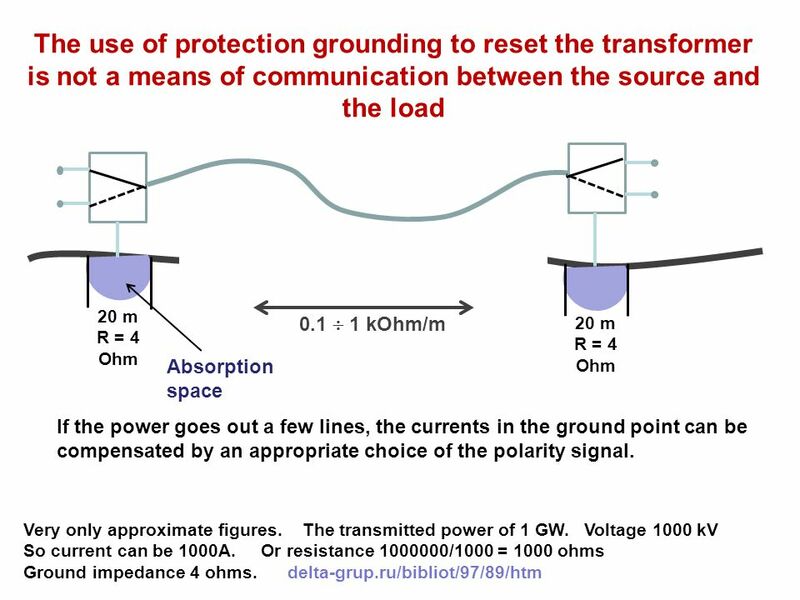 X According to the SWER authors the grounding resistance is 1 Ohm The following simulations show that in the system from the top half of the power is lost. Current flowing from point X misses the load, located far away from the source. Ground resistance is incomparably greater than the resistance wire. Inv. 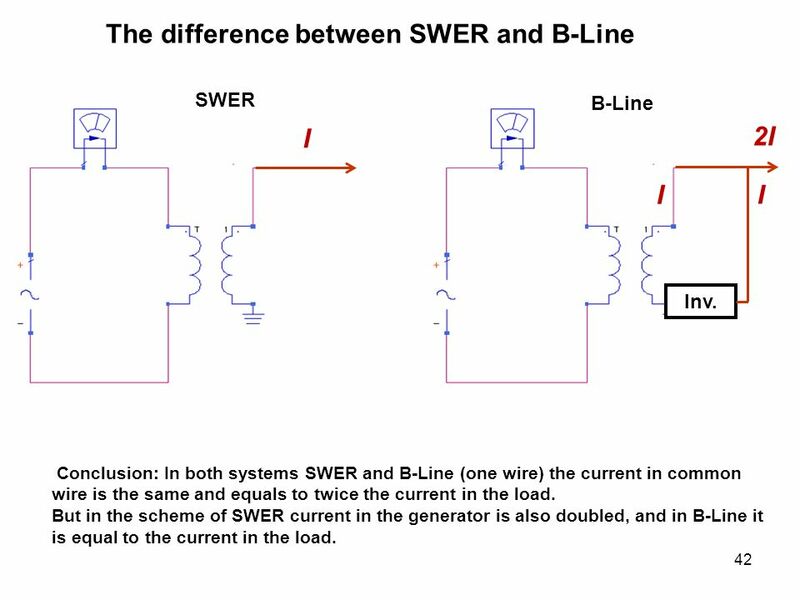 I 2I I I Conclusion: In both systems SWER and B-Line (one wire) the current in common wire is the same and equals to twice the current in the load. 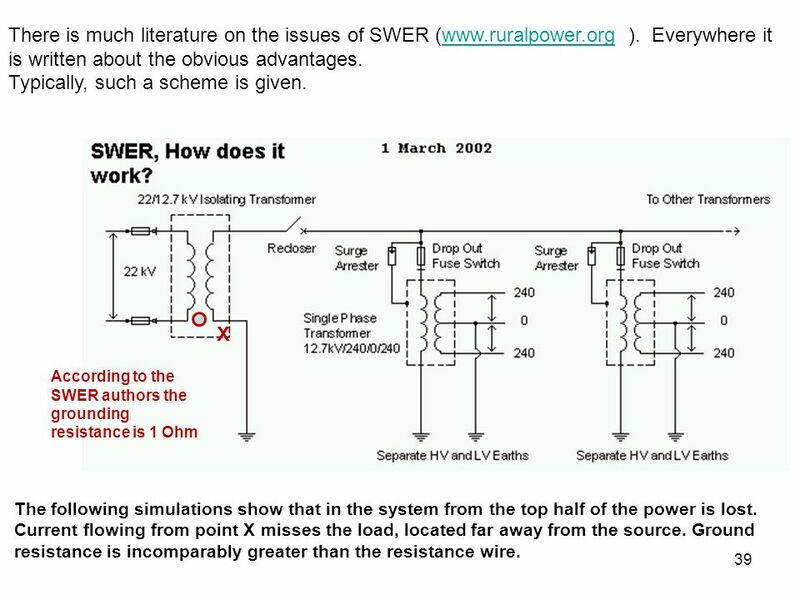 But in the scheme of SWER current in the generator is also doubled, and in B-Line it is equal to the current in the load. 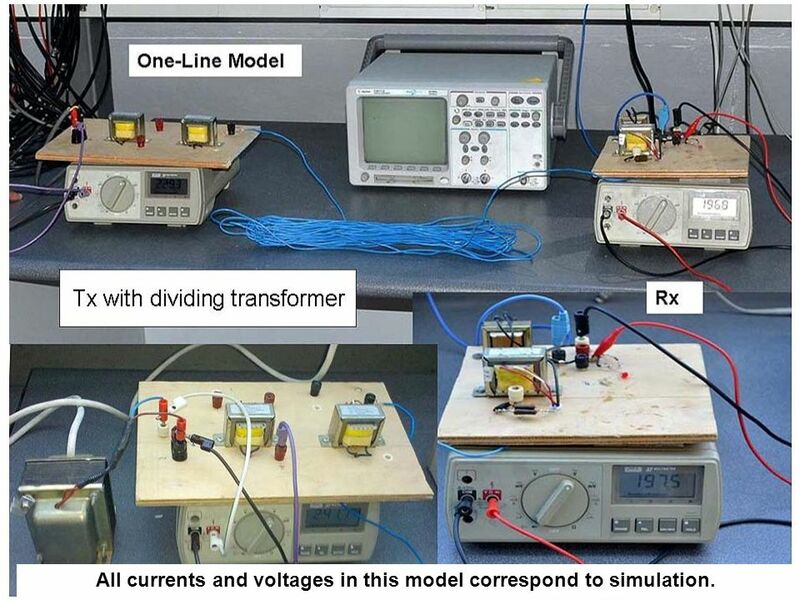 44 Model was constructed to test the possible influence of the neutral conductor of three-phase system (photo in next slide) At the entrance isolation transformer is applied to avoid possible grounding system through the neutral wire three-phase network. 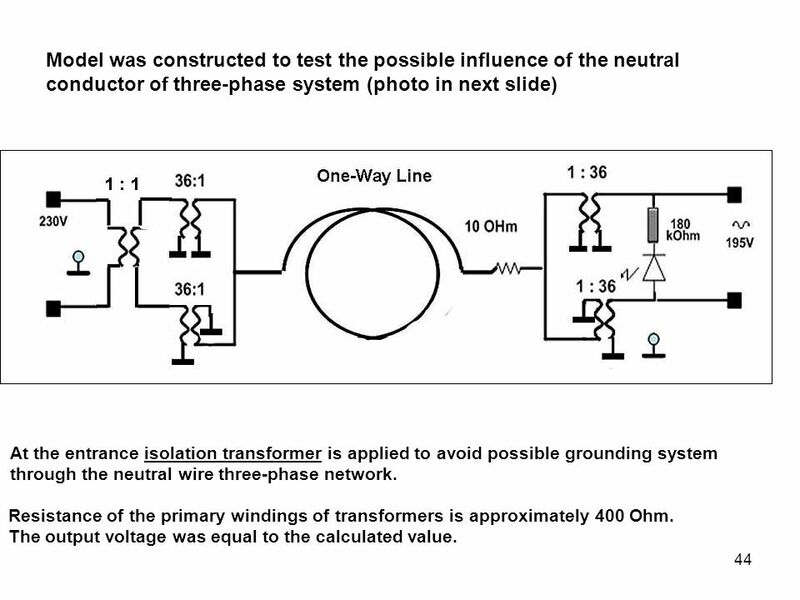 Resistance of the primary windings of transformers is approximately 400 Ohm. The output voltage was equal to the calculated value. 45 All currents and voltages in this model correspond to simulation. 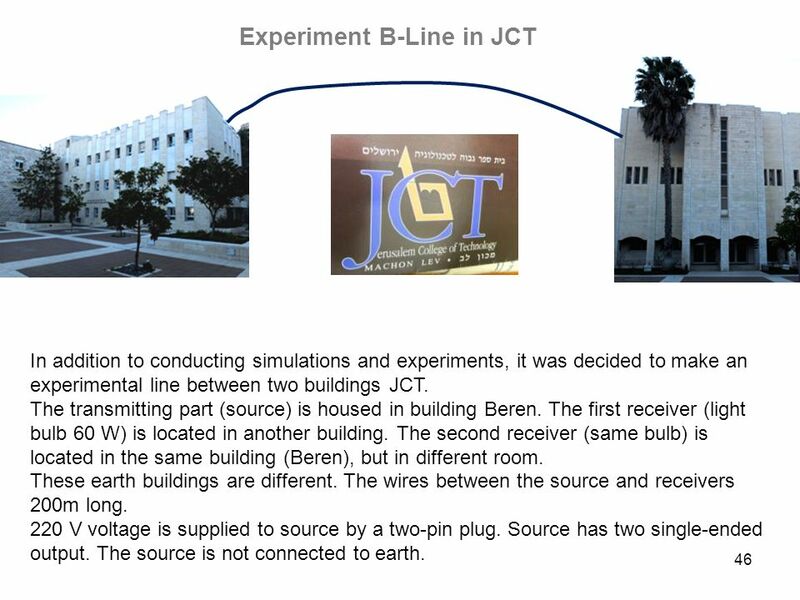 In addition to conducting simulations and experiments, it was decided to make an experimental line between two buildings JCT. The transmitting part (source) is housed in building Beren. The first receiver (light bulb 60 W) is located in another building. The second receiver (same bulb) is located in the same building (Beren), but in different room. These earth buildings are different. The wires between the source and receivers 200m long. 220 V voltage is supplied to source by a two-pin plug. Source has two single-ended output. The source is not connected to earth. 52 Using B-Line method can solve this problem. 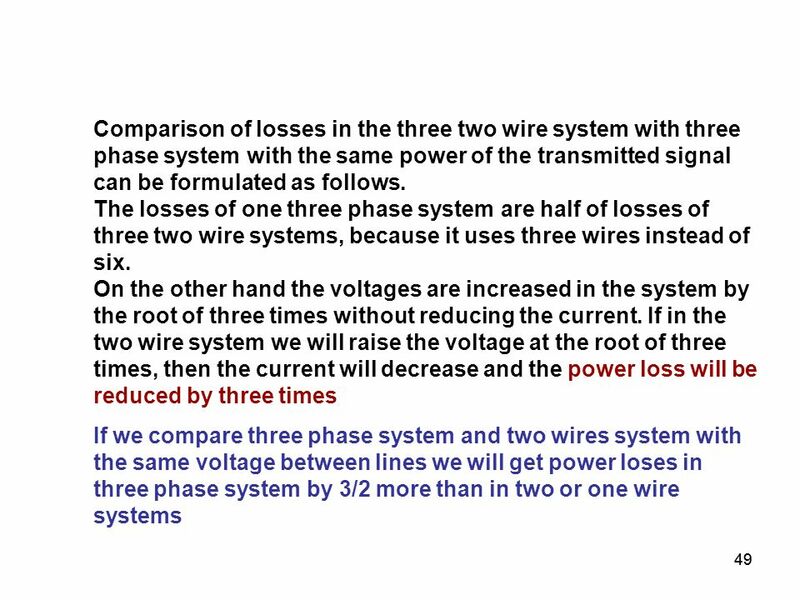 The losses in the two wire lines because of the mutual influence in twisted double wire In a two-wire system with closely spaced wires there is interference between currents. 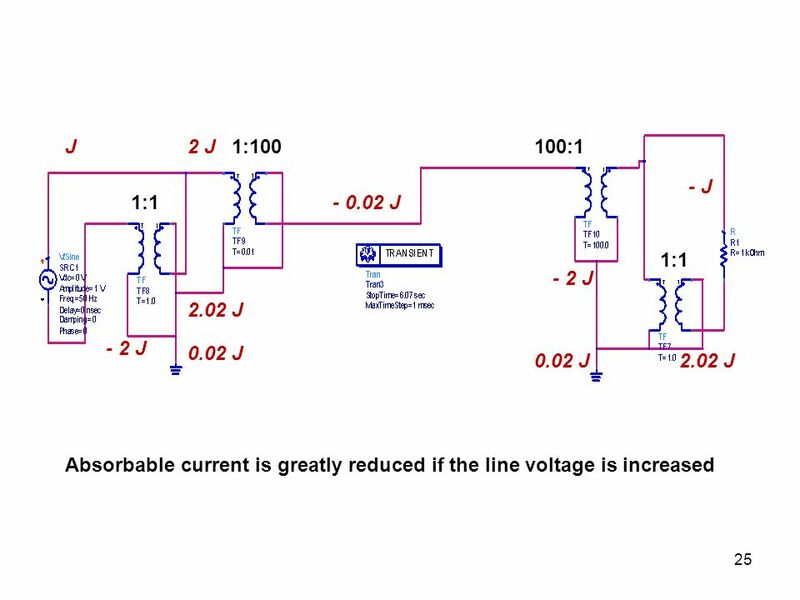 This effect leads to a reduction of the currents in both wires. That is, we get wires resistance increasing. 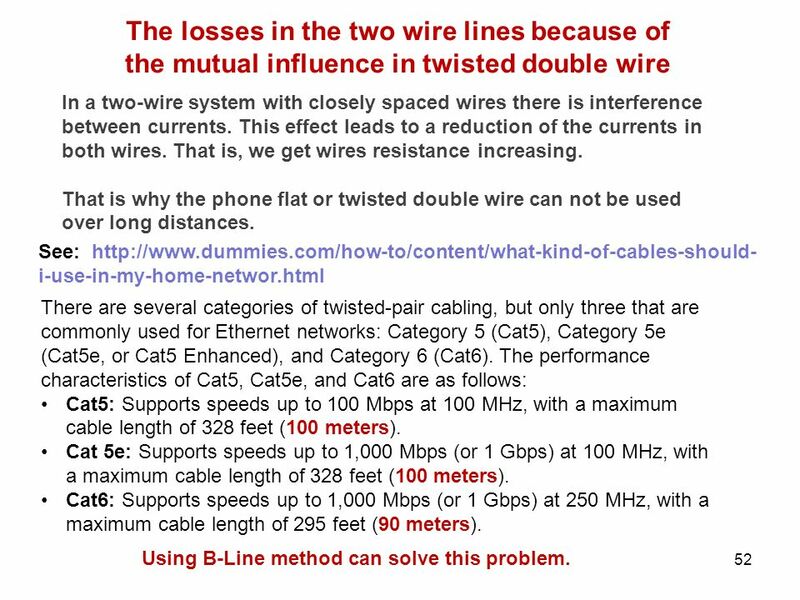 That is why the phone flat or twisted double wire can not be used over long distances. See: There are several categories of twisted-pair cabling, but only three that are commonly used for Ethernet networks: Category 5 (Cat5), Category 5e (Cat5e, or Cat5 Enhanced), and Category 6 (Cat6). The performance characteristics of Cat5, Cat5e, and Cat6 are as follows: Cat5: Supports speeds up to 100 Mbps at 100 MHz, with a maximum cable length of 328 feet (100 meters). Cat 5e: Supports speeds up to 1,000 Mbps (or 1 Gbps) at 100 MHz, with a maximum cable length of 328 feet (100 meters). Cat6: Supports speeds up to 1,000 Mbps (or 1 Gbps) at 250 MHz, with a maximum cable length of 295 feet (90 meters). Using B-Line method can solve this problem. 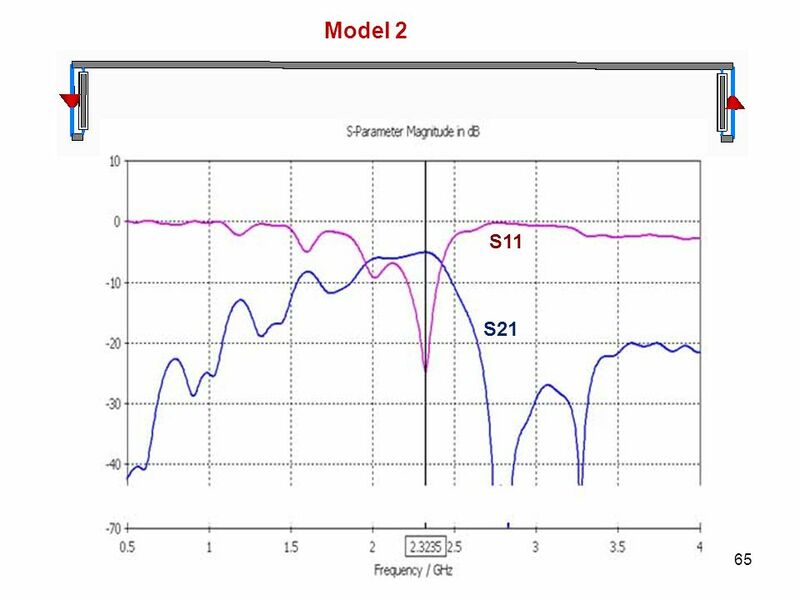 54 Model 1 – two wires S11 S21 Simulations were performed for different cable lengths. But the change in length had little impact on the results. 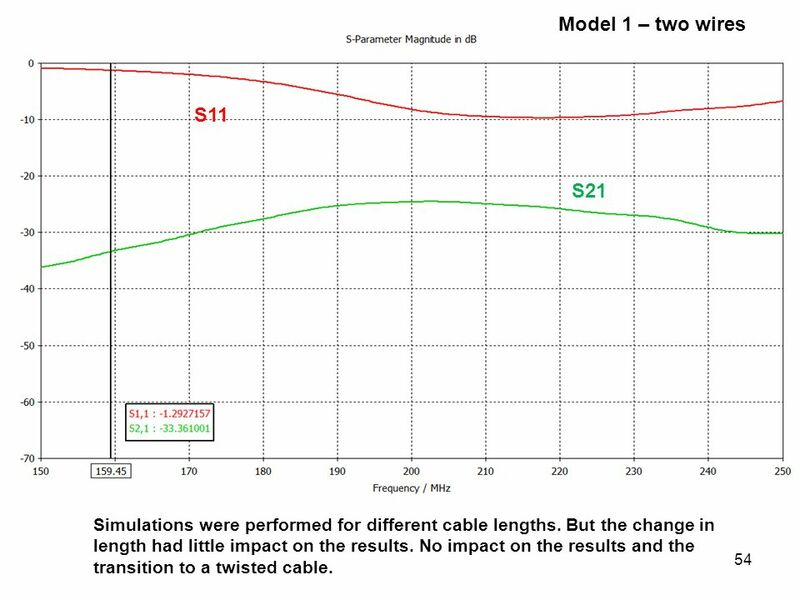 No impact on the results and the transition to a twisted cable. A cross-section through a 400 kV cable, showing the stranded segmented copper conductor in the center, semiconducting and insulating layers, copper shield conductors, aluminum sheath and plastic outer jacket The losses in the two wire lines increase if if the cables are close to each other. 57 Can it be considered an electrical line as an antenna? 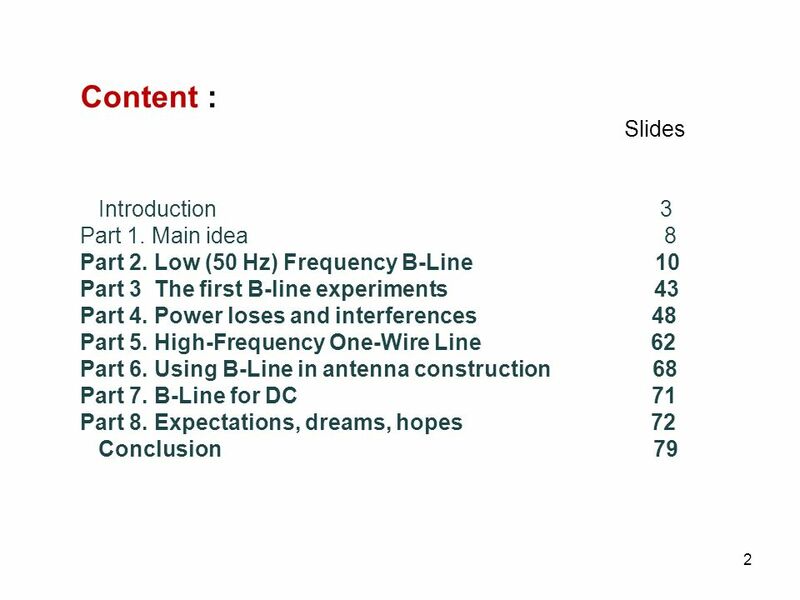 4.4 Energy radiation Can it be considered an electrical line as an antenna? 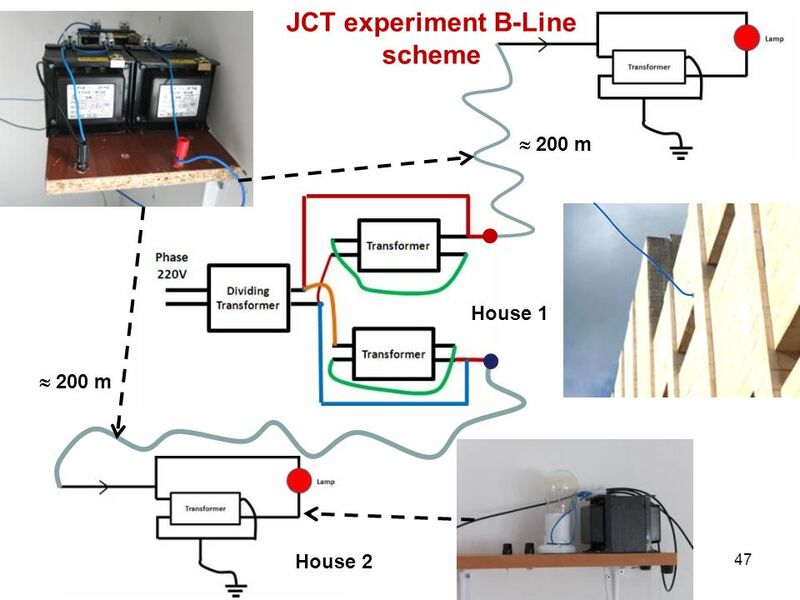 Transmitted over the air is proportional to the energy efficiency of the transmitting antenna. This efficiency is determined by various inter-related parameters, such as gain (G) or effective length (Le). Electric wire can be considered as a monopole. Le of monopole is inversely proportional to its length-to-quarter wavelength, which for 50 Hz equals 1.5 thousands km. 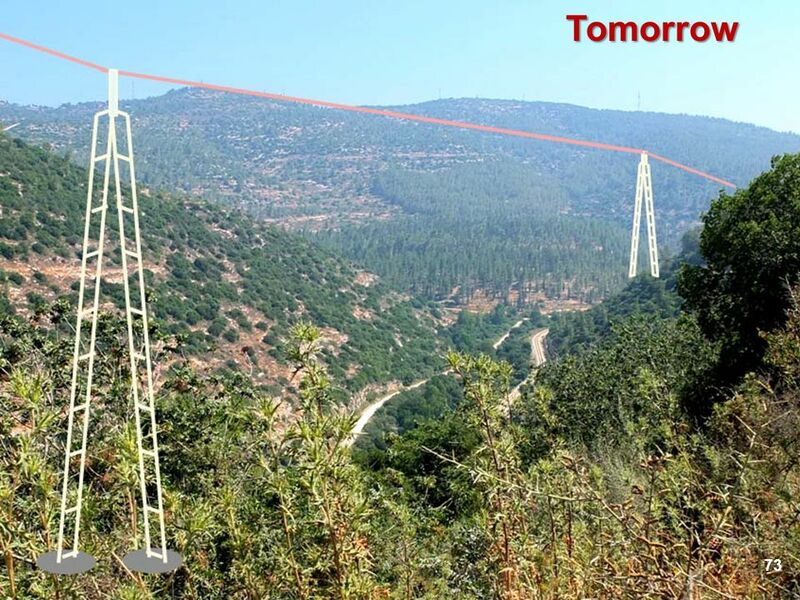 Obviously, to the areas where the distance is less than a kilometer, the active length of electrical wire is zero. Can it be considered an transformer as an antenna? 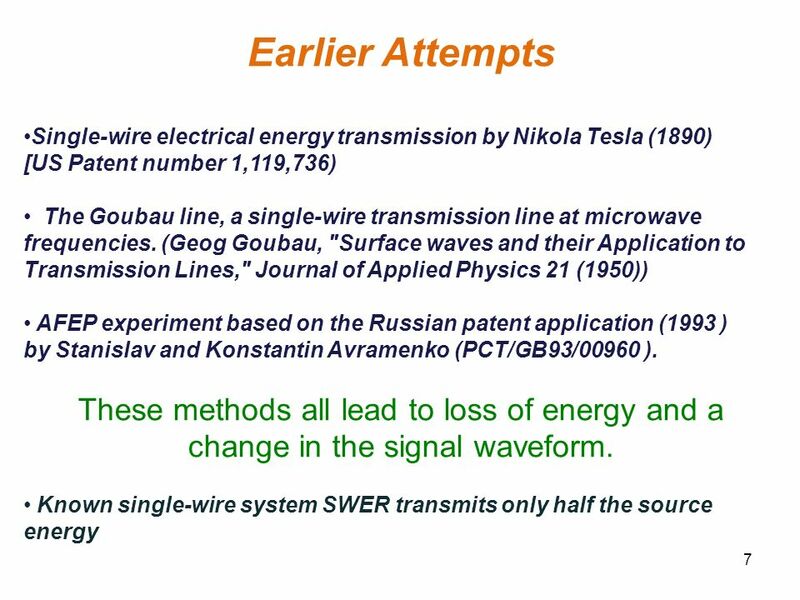 Another source of radiated electromagnetic field can be a transformer, working here as a magnetic antenna. 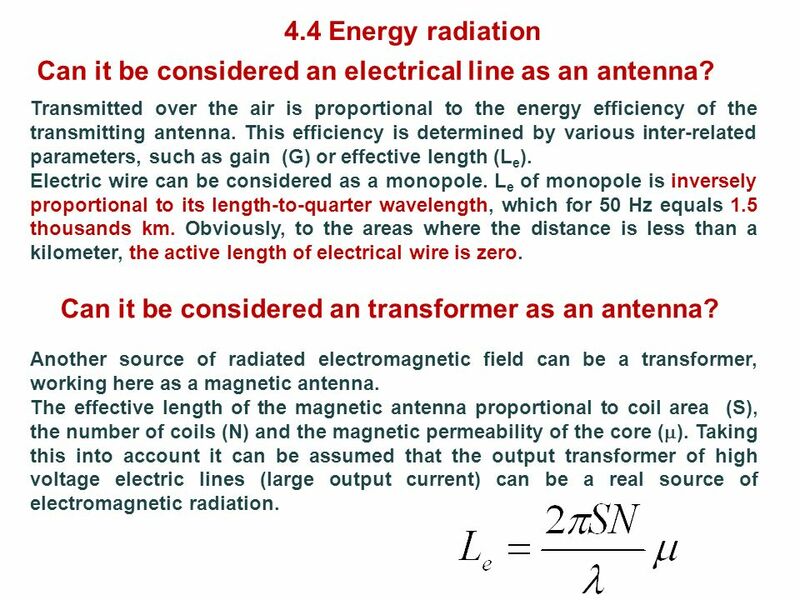 The effective length of the magnetic antenna proportional to coil area (S), the number of coils (N) and the magnetic permeability of the core (). 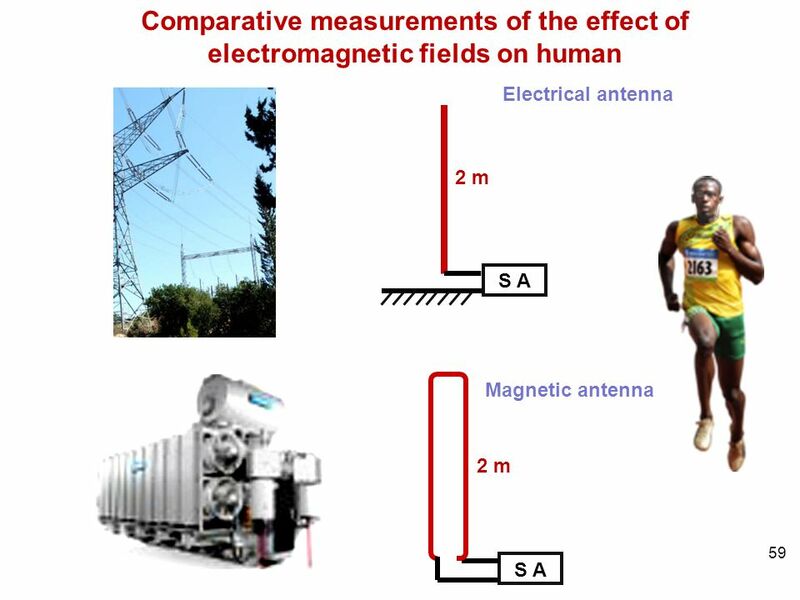 Taking this into account it can be assumed that the output transformer of high voltage electric lines (large output current) can be a real source of electromagnetic radiation. 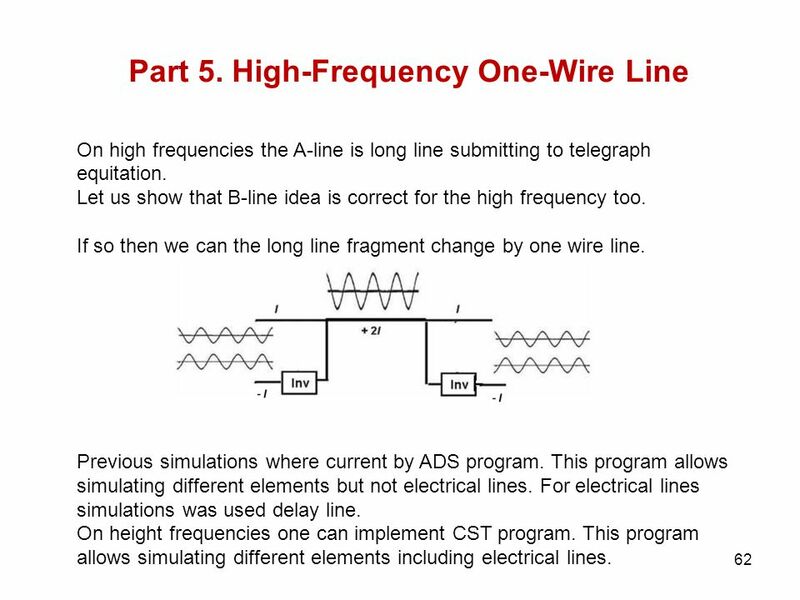 On high frequencies the A-line is long line submitting to telegraph equitation. 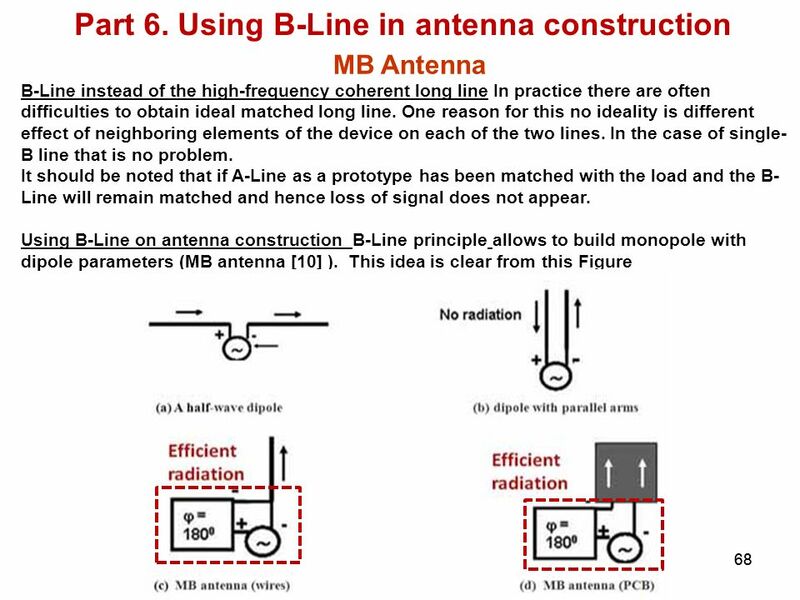 Let us show that B-line idea is correct for the high frequency too. 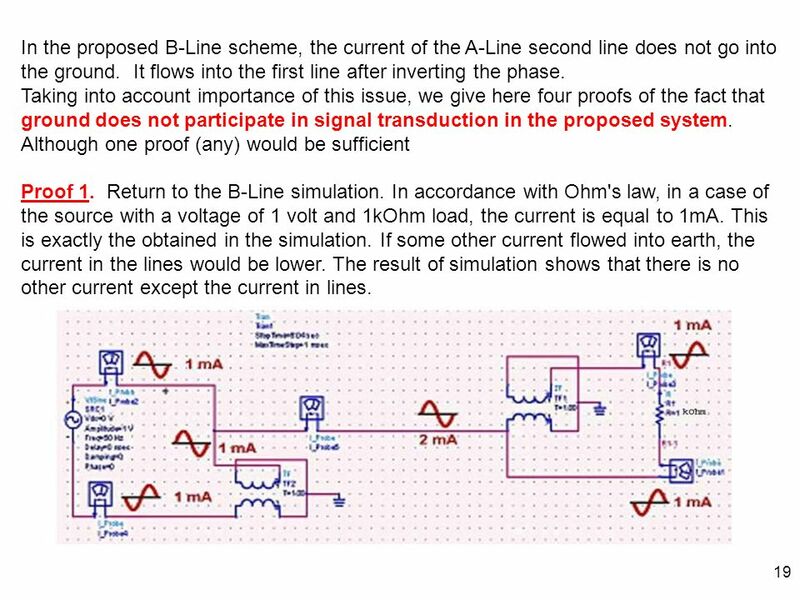 If so then we can the long line fragment change by one wire line. Previous simulations where current by ADS program. This program allows simulating different elements but not electrical lines. 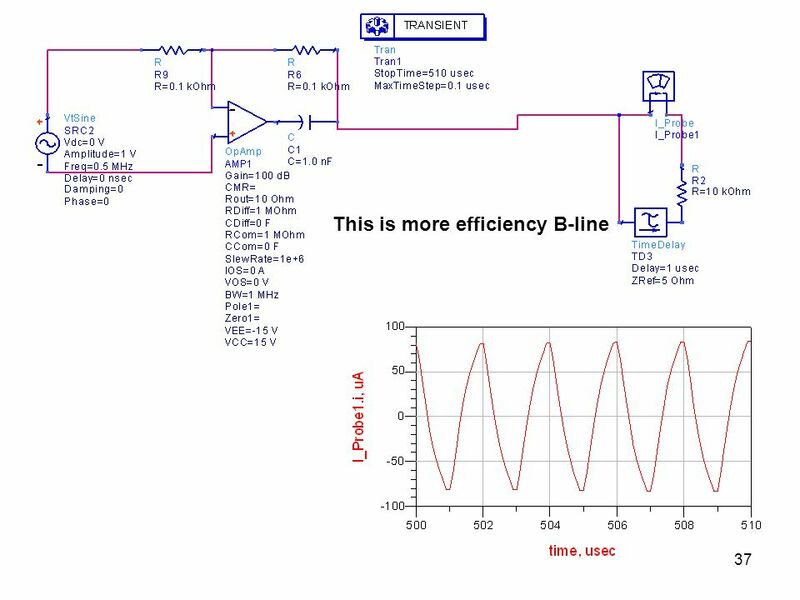 For electrical lines simulations was used delay line. On height frequencies one can implement CST program. This program allows simulating different elements including electrical lines. 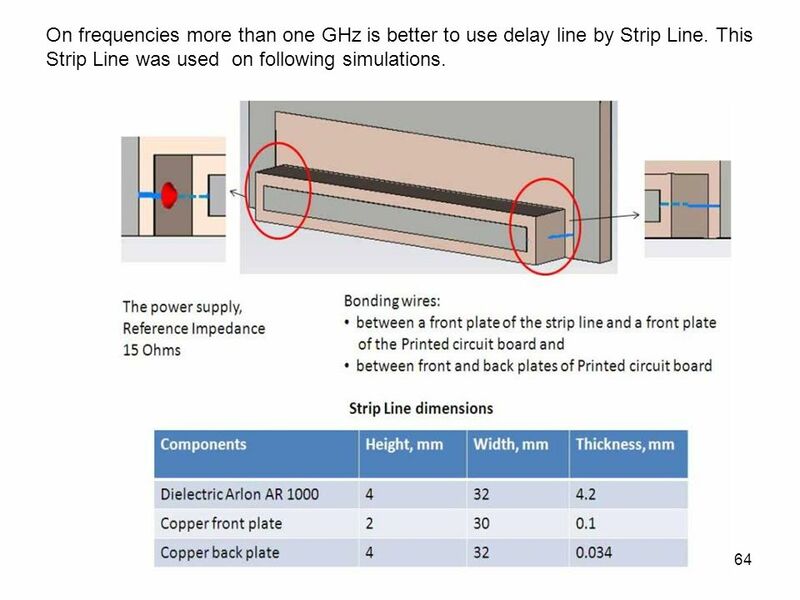 64 On frequencies more than one GHz is better to use delay line by Strip Line. 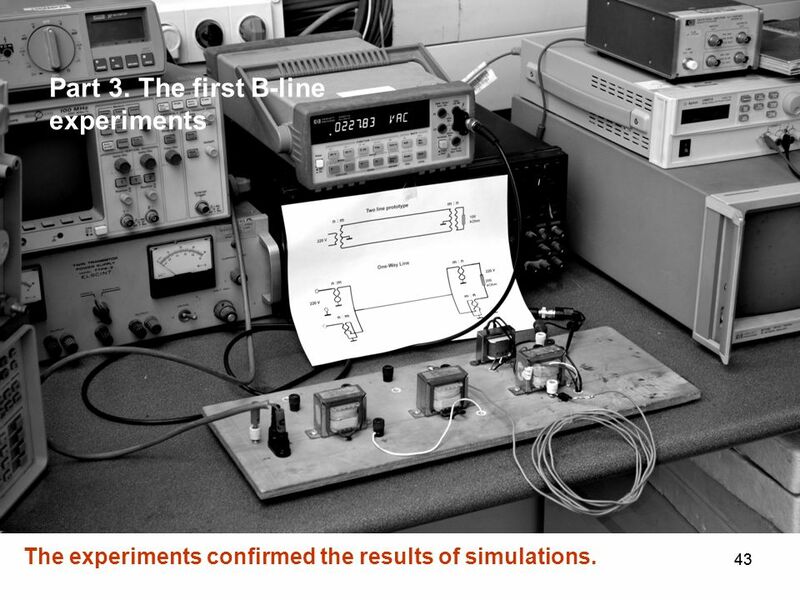 This Strip Line was used on following simulations. The matching long the line is infinitely wide band pass. This is an advantage, but also disadvantages. 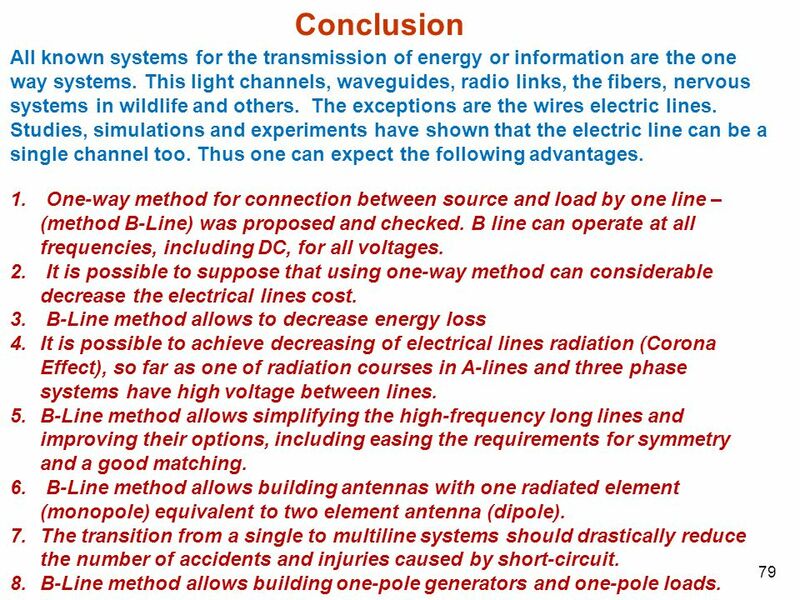 Advantages because you can pass on a long line of multiple signals with different frequencies. However, in a real system there is always some noise. Even if he is weak, but in an infinitely wide band will be infinitely large noise (of course, if the noise is white). Due to Shannon's theory on such a channel can not transmit information. Of course, you can apply a filter at the input of the receiver. But this is often problematic. 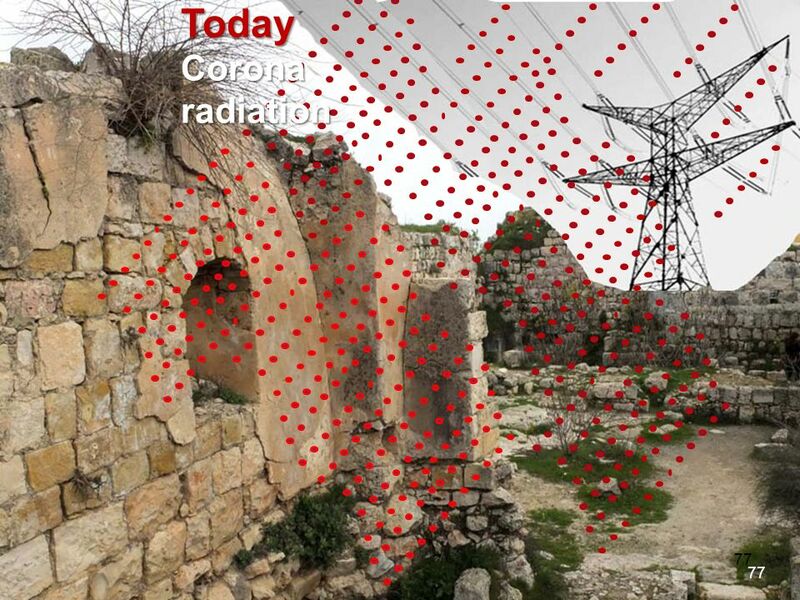 The filter introduces loss and increases the noise factor. 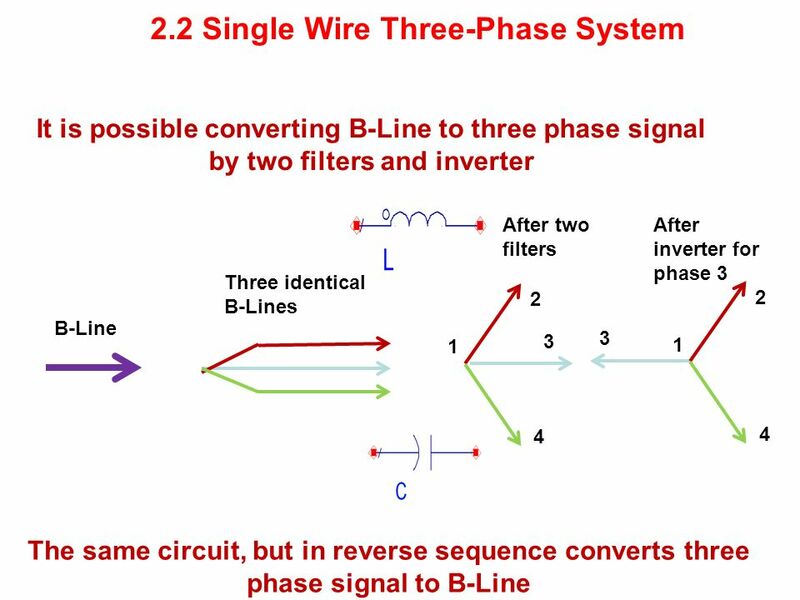 The proposed single-wire system (B-Line) is a selective system The disadvantage of B-Line is a need to change the delay line in case of change of frequency. 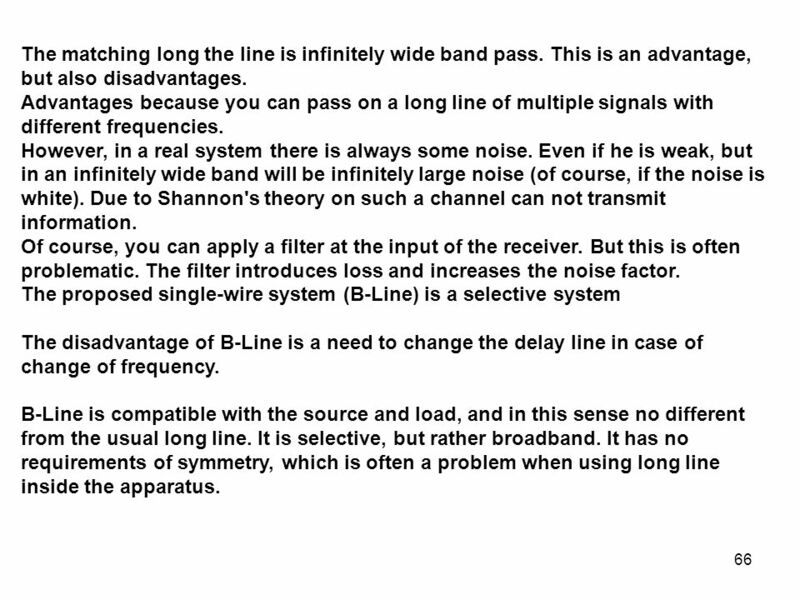 B-Line is compatible with the source and load, and in this sense no different from the usual long line. It is selective, but rather broadband. 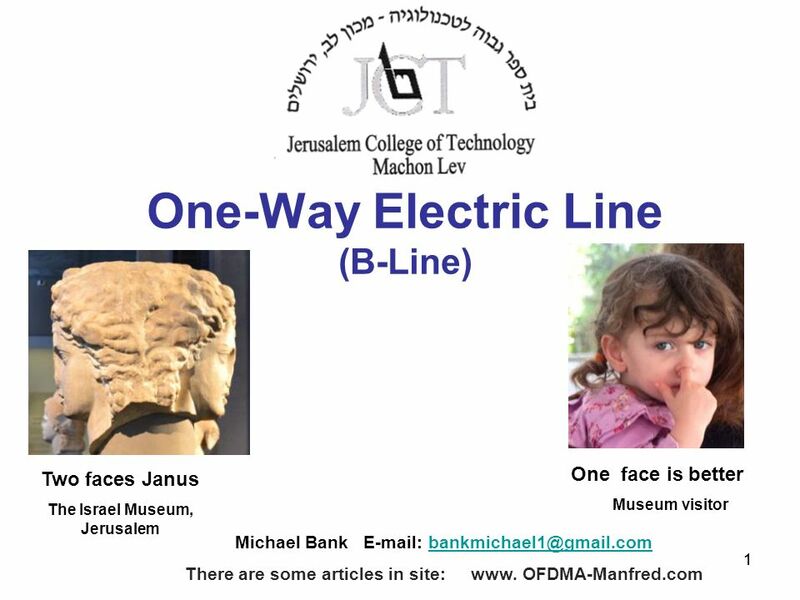 It has no requirements of symmetry, which is often a problem when using long line inside the apparatus. 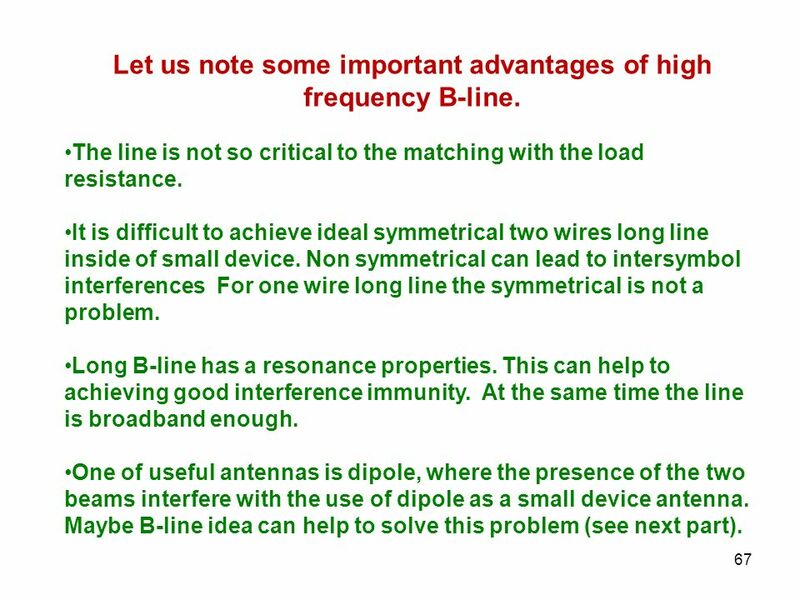 67 Let us note some important advantages of high frequency B-line. 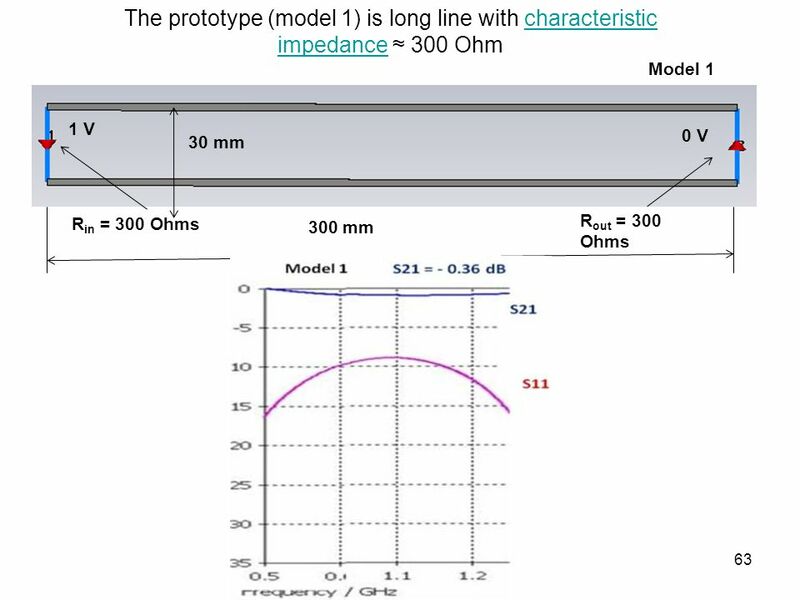 The line is not so critical to the matching with the load resistance. 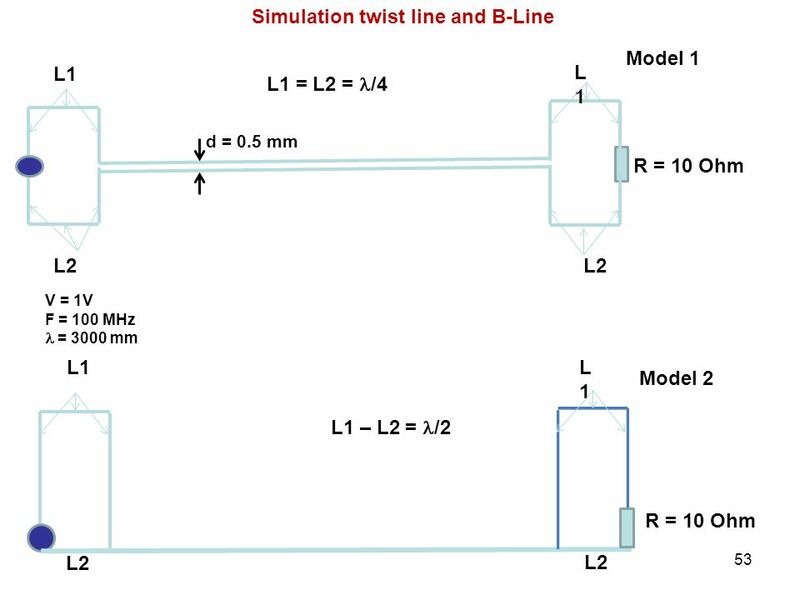 It is difficult to achieve ideal symmetrical two wires long line inside of small device. 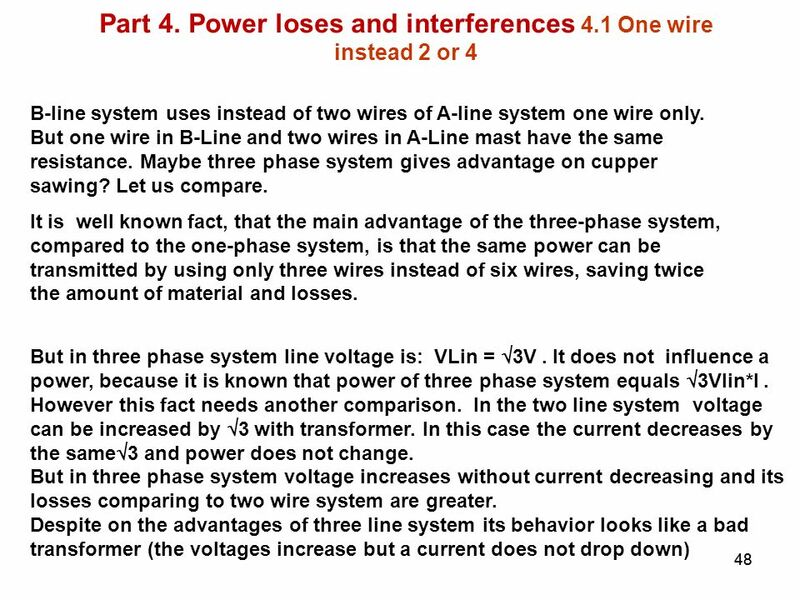 Non symmetrical can lead to intersymbol interferences For one wire long line the symmetrical is not a problem. 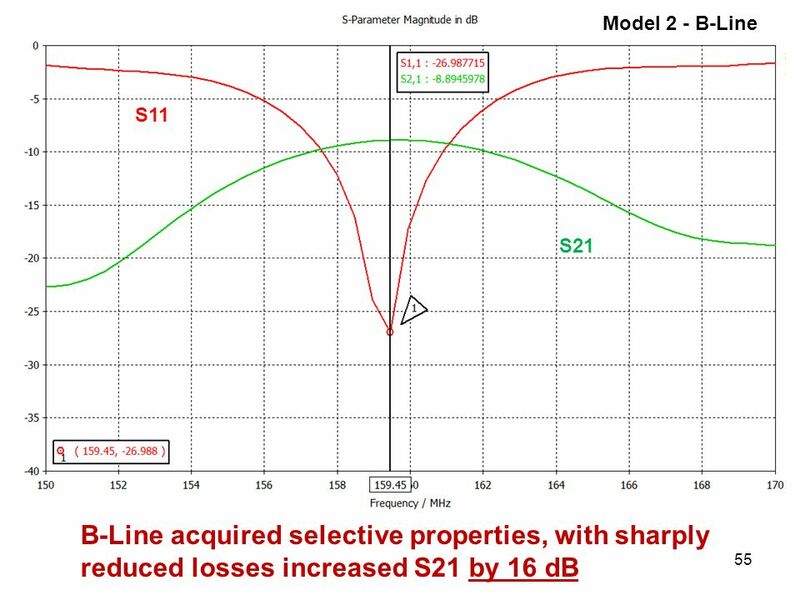 Long B-line has a resonance properties. This can help to achieving good interference immunity. At the same time the line is broadband enough. One of useful antennas is dipole, where the presence of the two beams interfere with the use of dipole as a small device antenna. 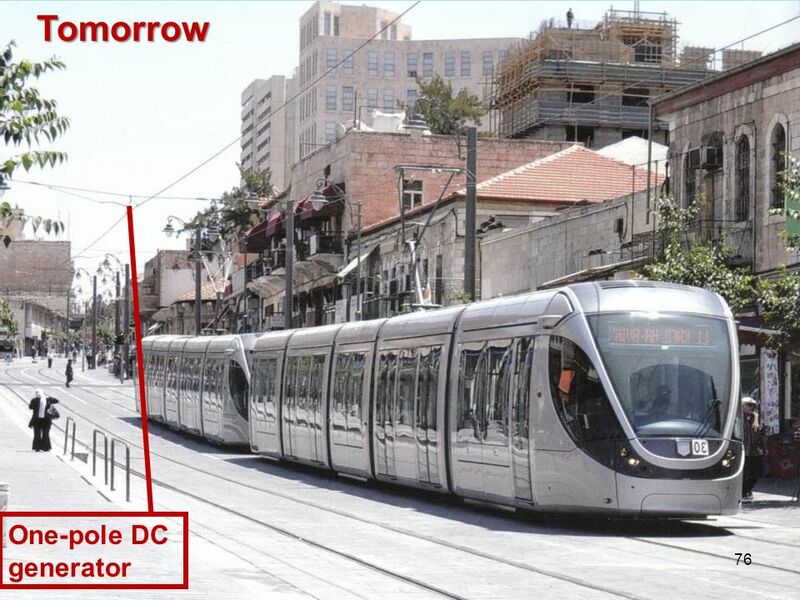 Maybe B-line idea can help to solve this problem (see next part). 69 MB antenna is the equivalent full dipole, and not half-wave, as is usually applied. 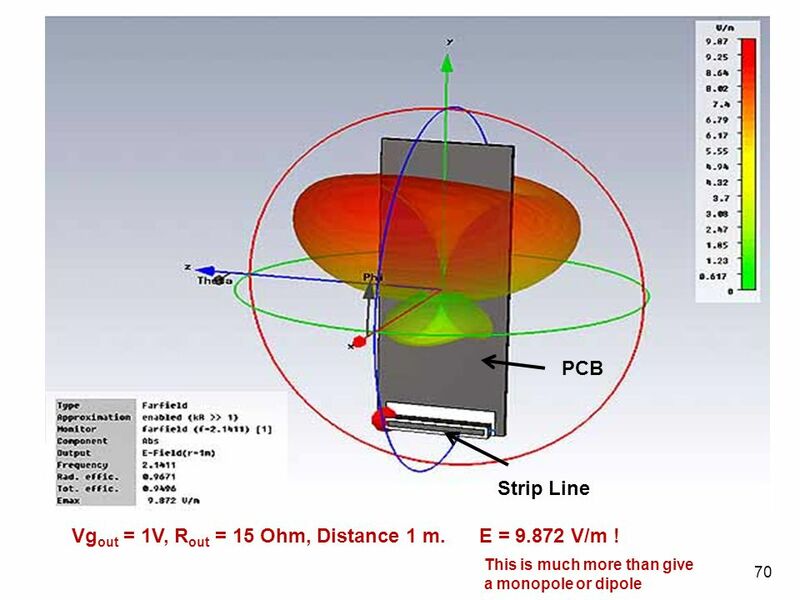 In the case of a monopole or dipole at the end emitters current is equal to zero, and this dramatically reduces the efficiency of the antennas. At low frequencies to compensate for this effect is used umbrella antenna, T-shaped antenna, antenna with top power, multi-antenna and so on. 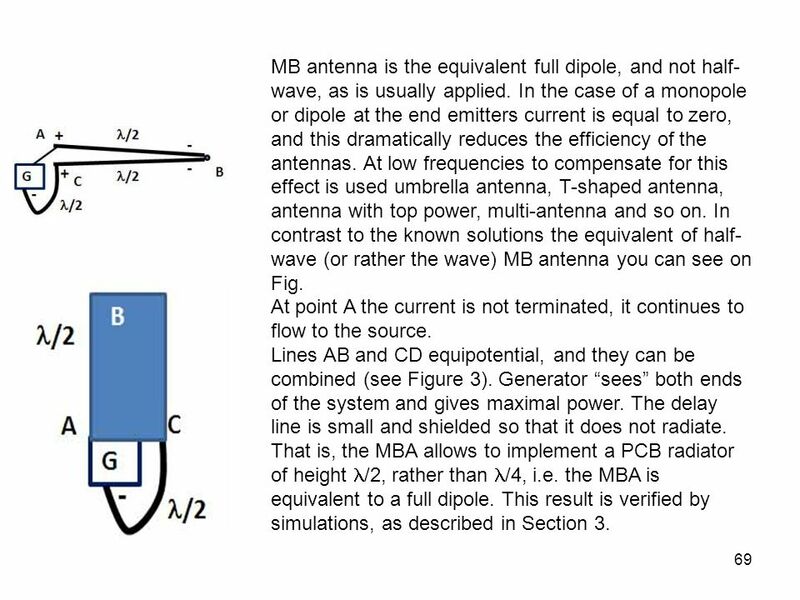 In contrast to the known solutions the equivalent of half-wave (or rather the wave) MB antenna you can see on Fig. At point A the current is not terminated, it continues to flow to the source. 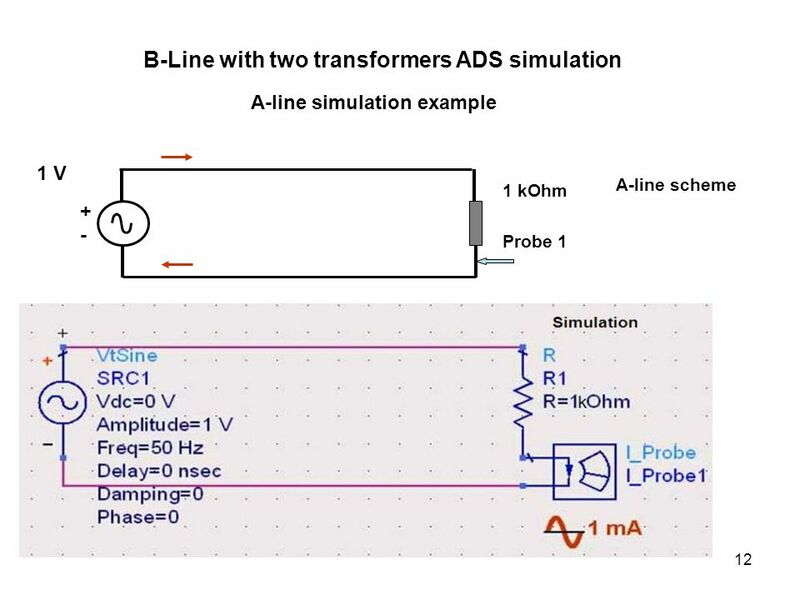 Lines AB and CD equipotential, and they can be combined (see Figure 3). Generator “sees” both ends of the system and gives maximal power. The delay line is small and shielded so that it does not radiate. That is, the MBA allows to implement a PCB radiator of height /2, rather than /4, i.e. the MBA is equivalent to a full dipole. This result is verified by simulations, as described in Section 3. 70 Vgout = 1V, Rout = 15 Ohm, Distance 1 m. E = 9.872 V/m ! 71 Part 7. 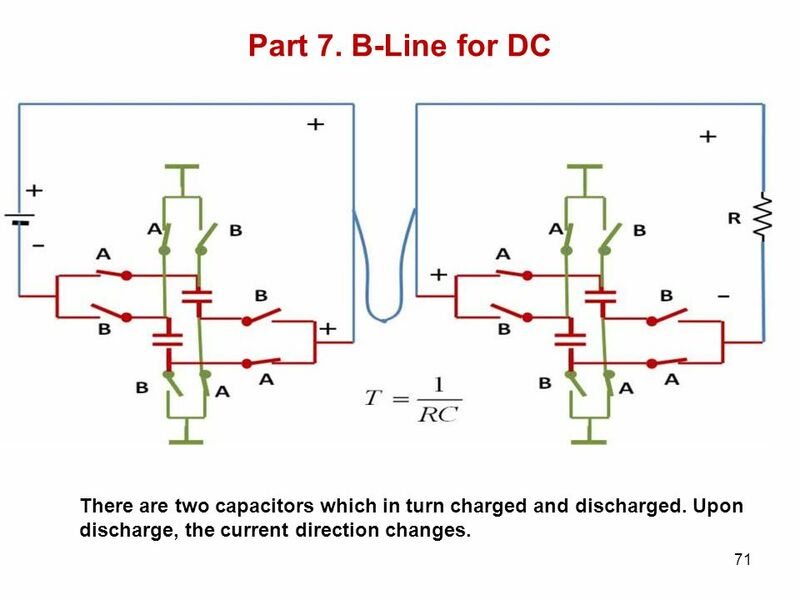 B-Line for DC There are two capacitors which in turn charged and discharged. Upon discharge, the current direction changes. 74 Today Tomorrow Today, in many countries apply three-pin electrical plug. 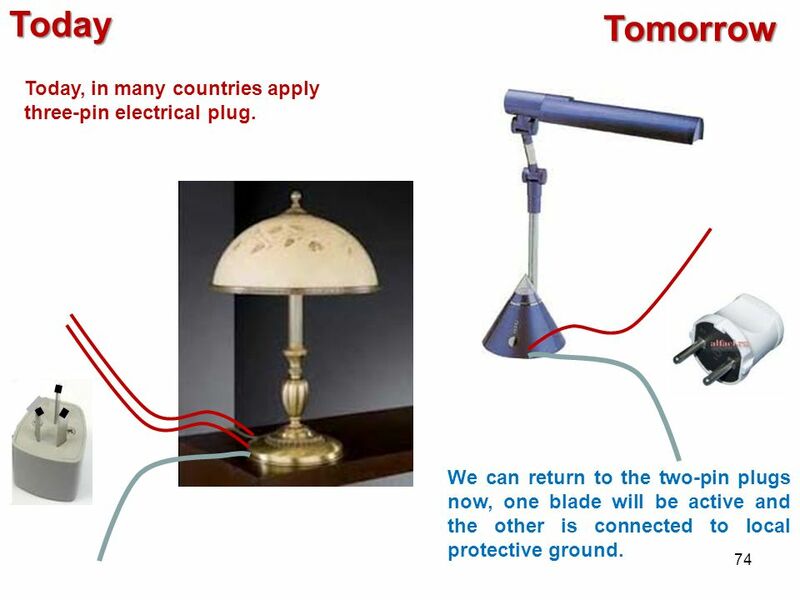 We can return to the two-pin plugs now, one blade will be active and the other is connected to local protective ground. 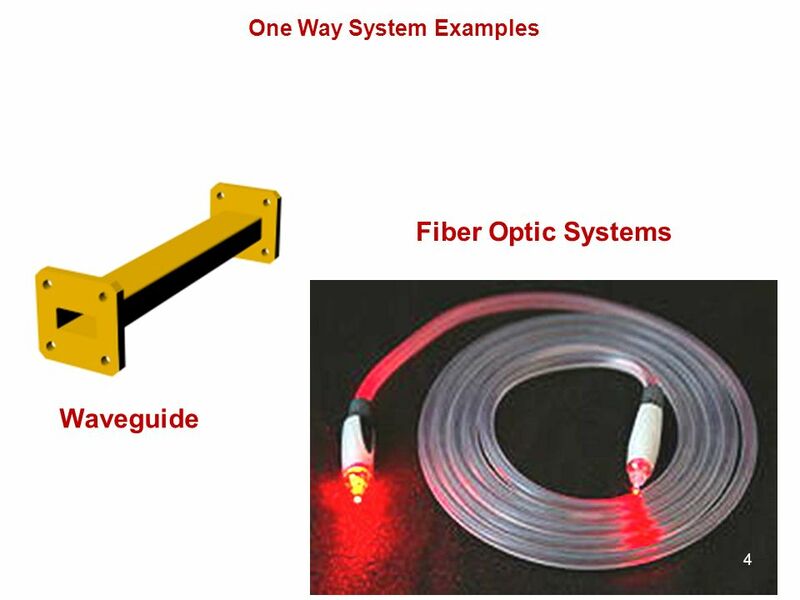 Download ppt "One-Way Electric Line (B-Line)"
Balanced Device Characterization. Page 2 Outline Characteristics of Differential Topologies Measurement Alternatives Unbalanced and Balanced Performance.